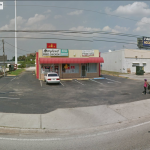 Photos are alphabetical by state, then by city, then by street. 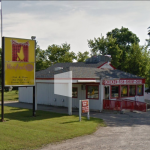 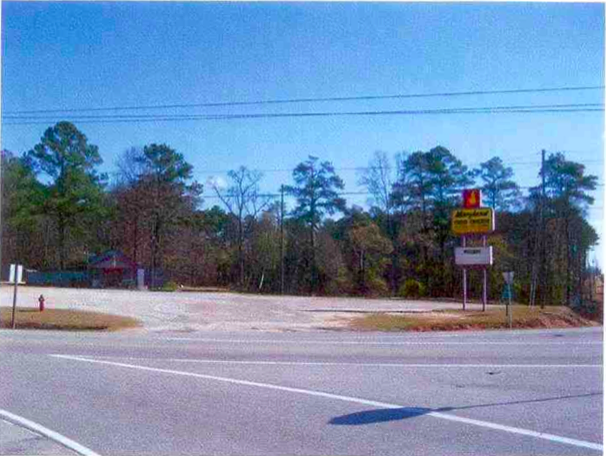 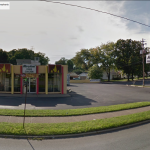 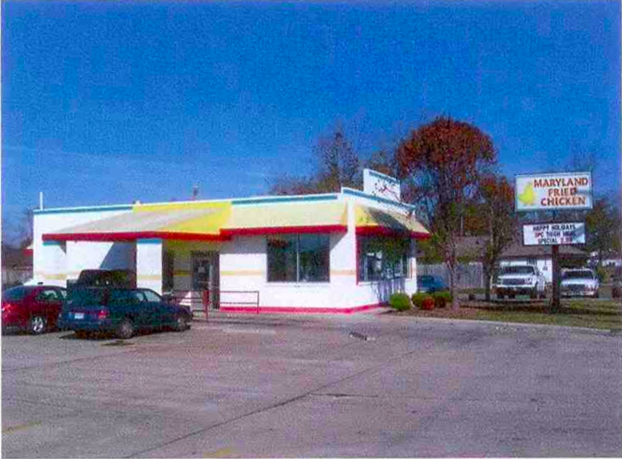 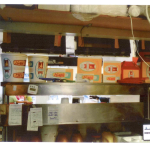 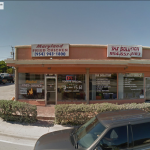 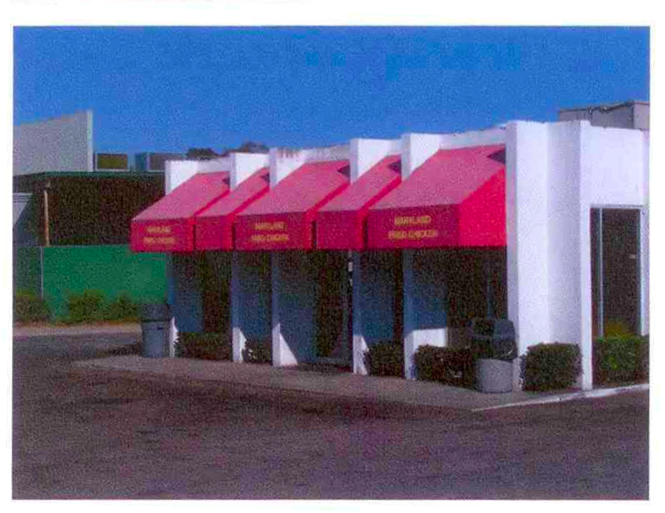 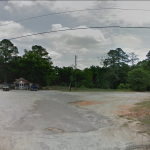 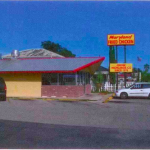 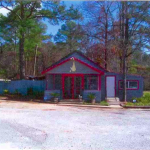 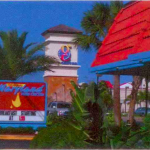 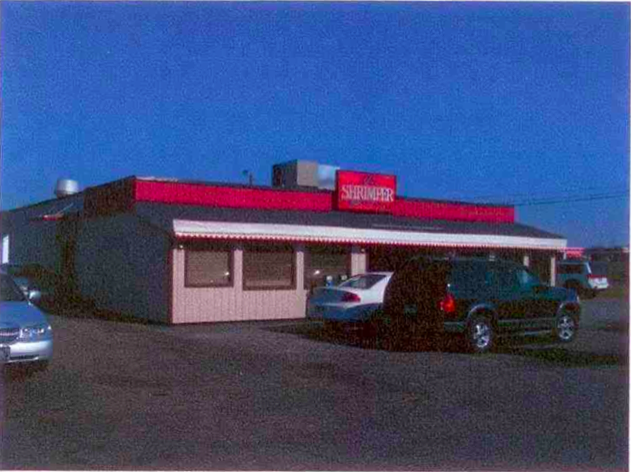 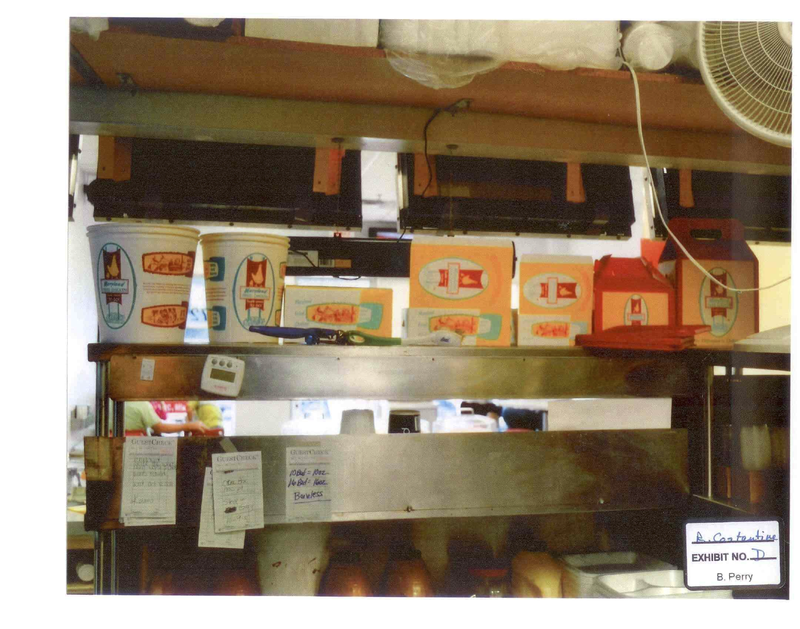 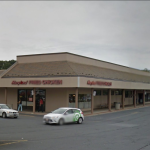 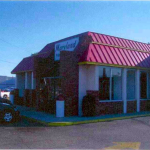 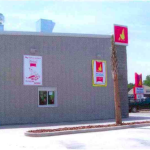 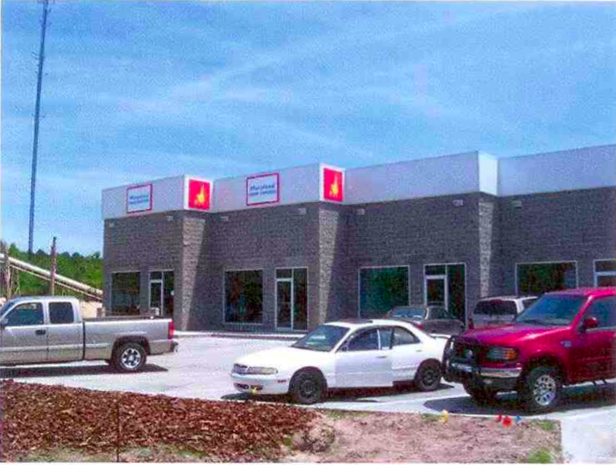 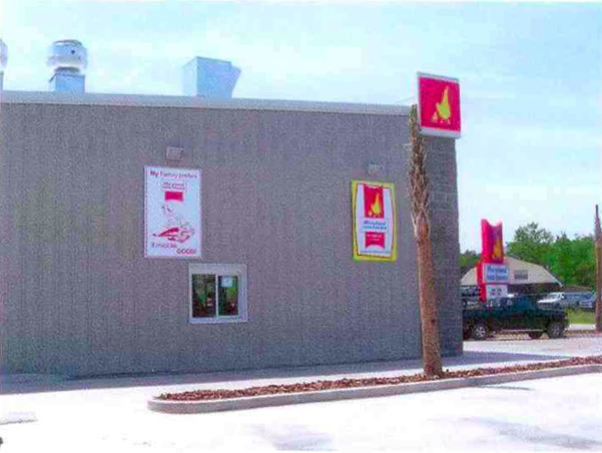 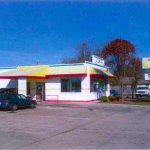 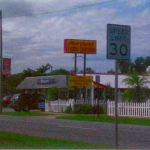 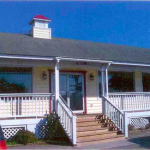 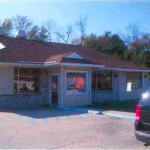 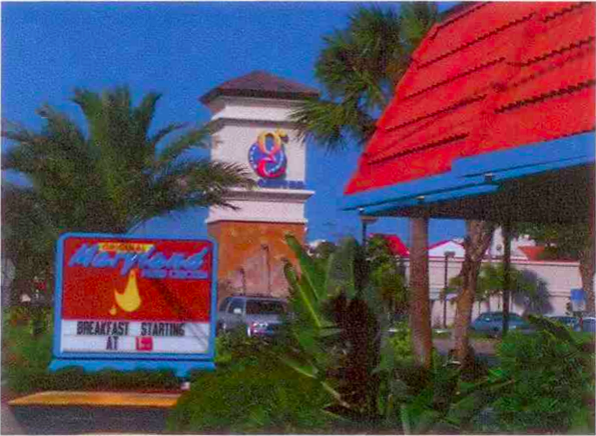 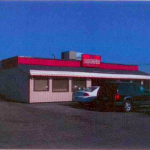 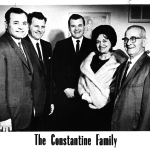 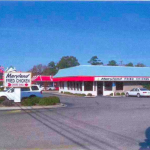 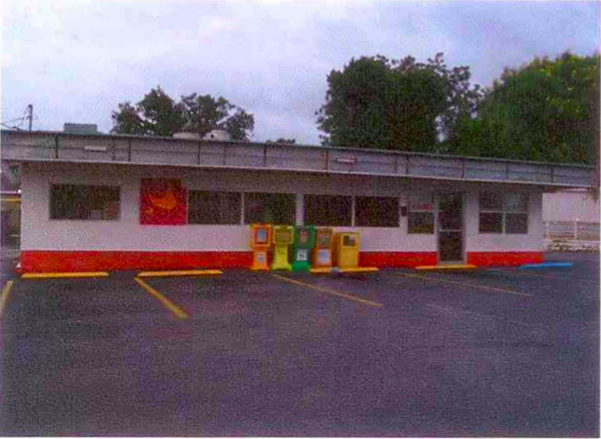 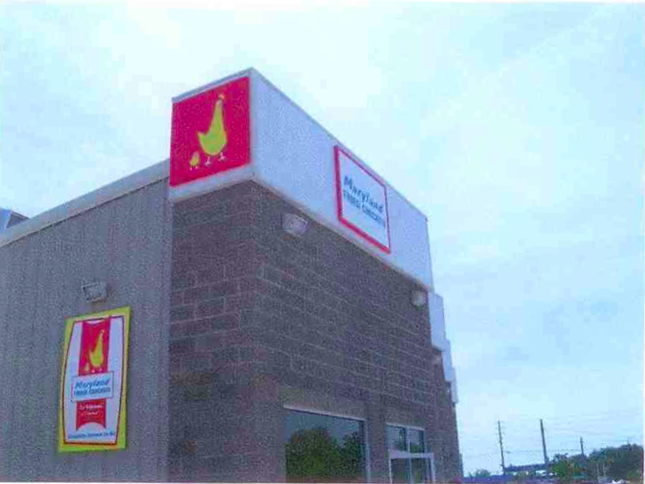 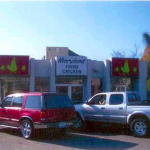 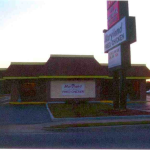 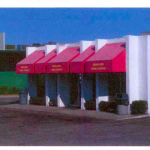 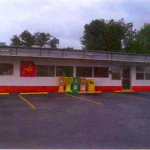 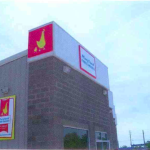 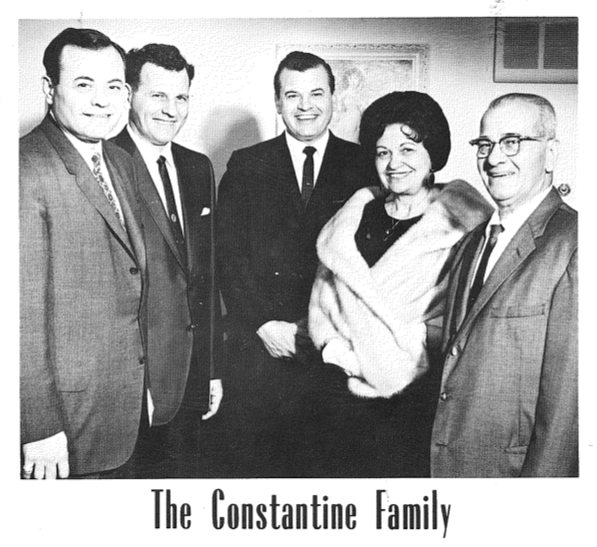 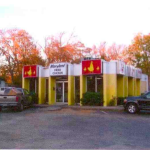 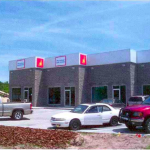 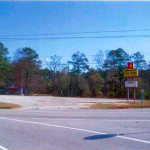 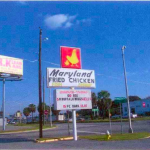 For each restaurant, the first image with be Google Street View, if available, followed by photographs that were exhibits in the record, largely from the deposition of James Gourley, Vice President and General Manager of CFM Distributing. 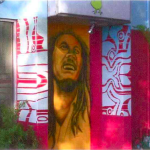 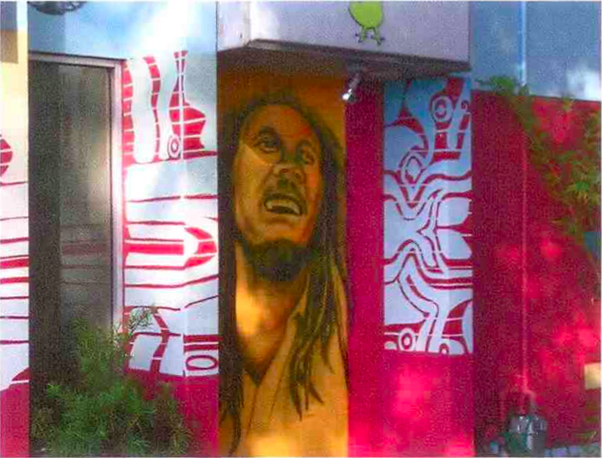 Slappey Drive, Albany, Georgia has Bob Marley painted out the outside. 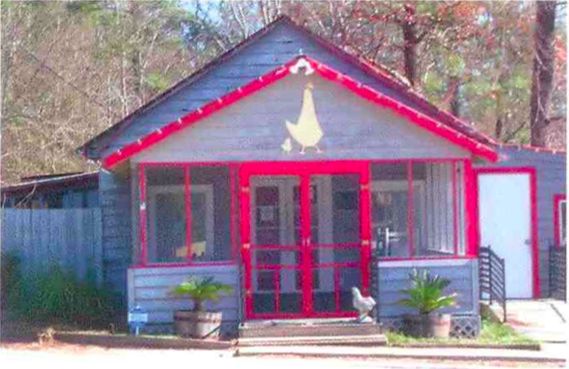 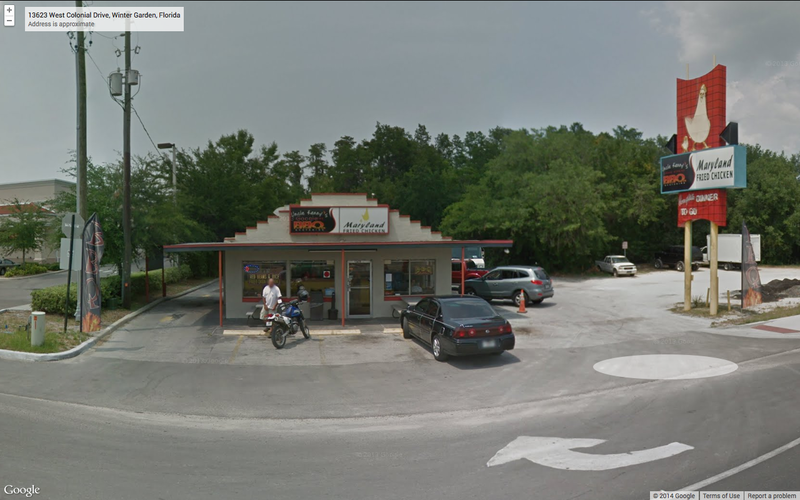 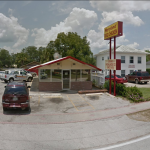 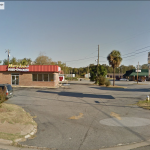 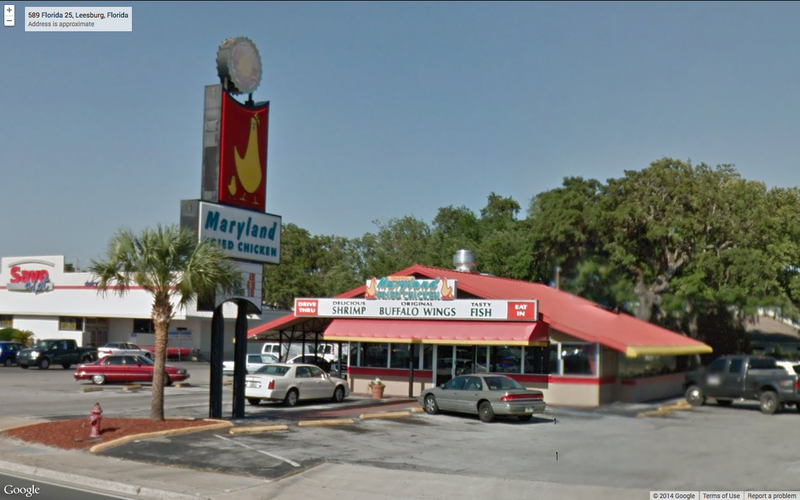 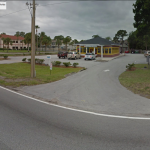 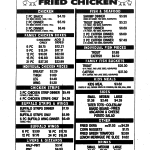 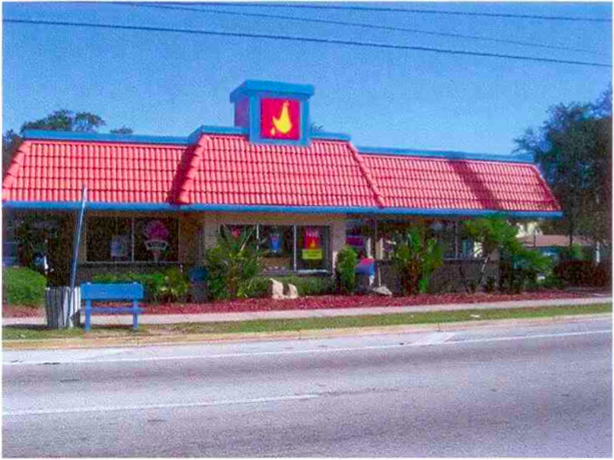 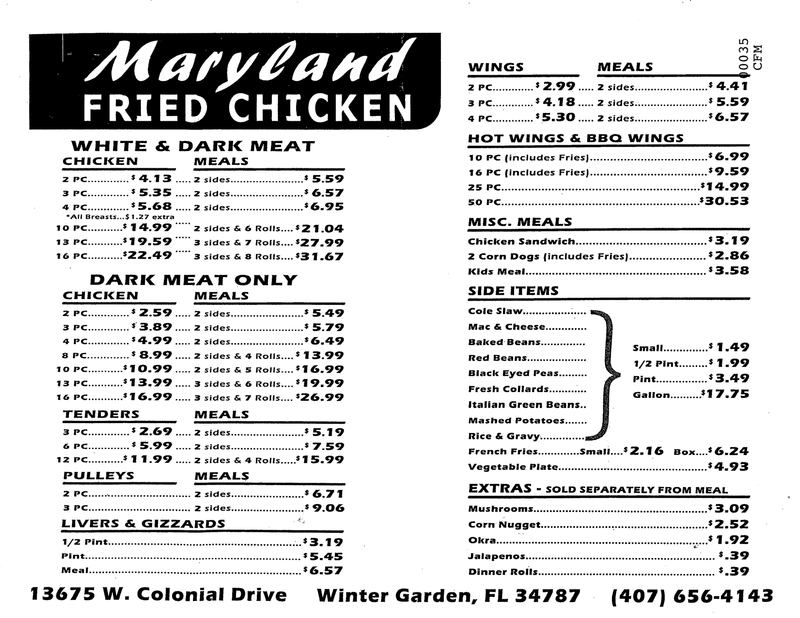 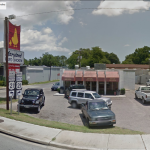 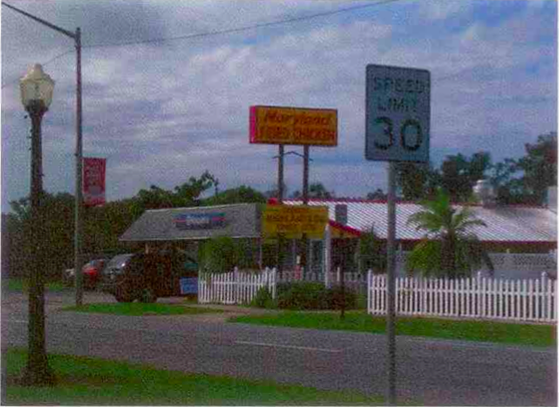 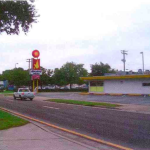 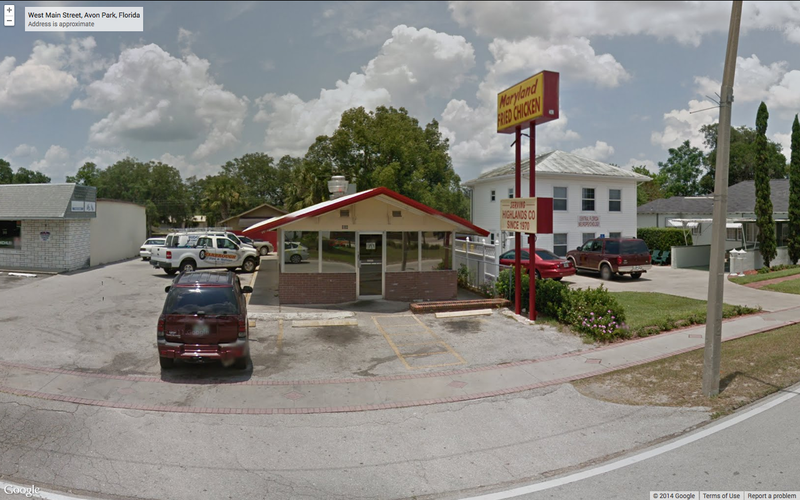 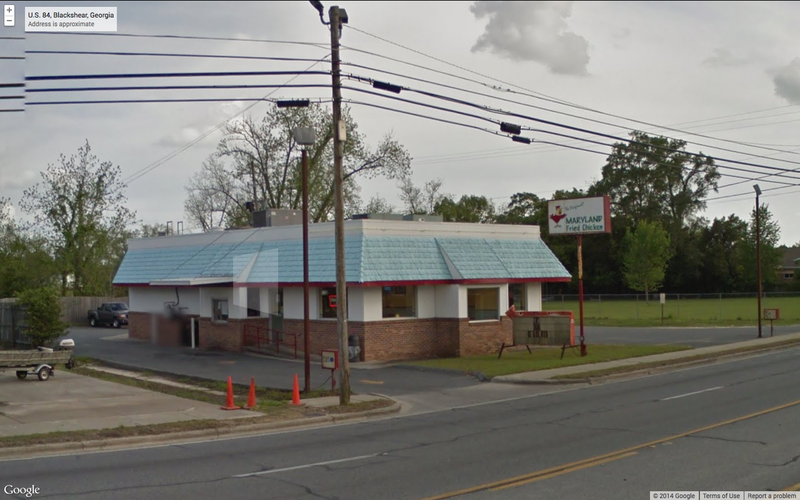 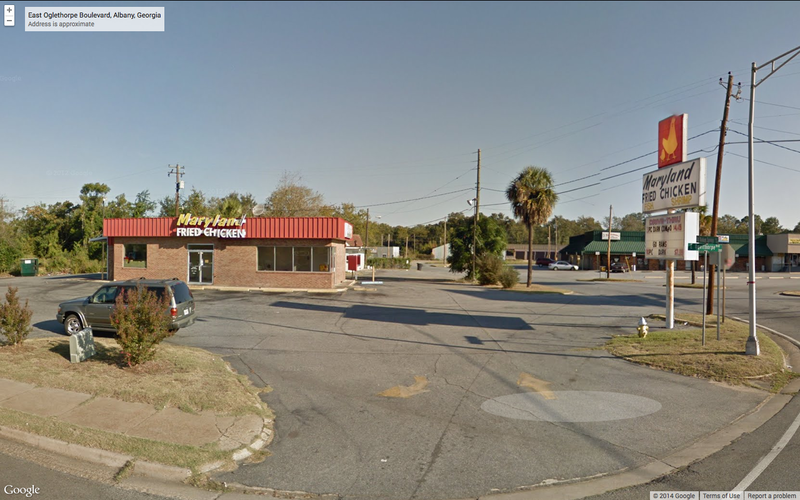 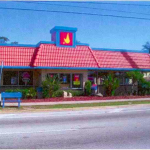 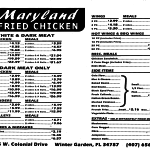 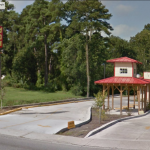 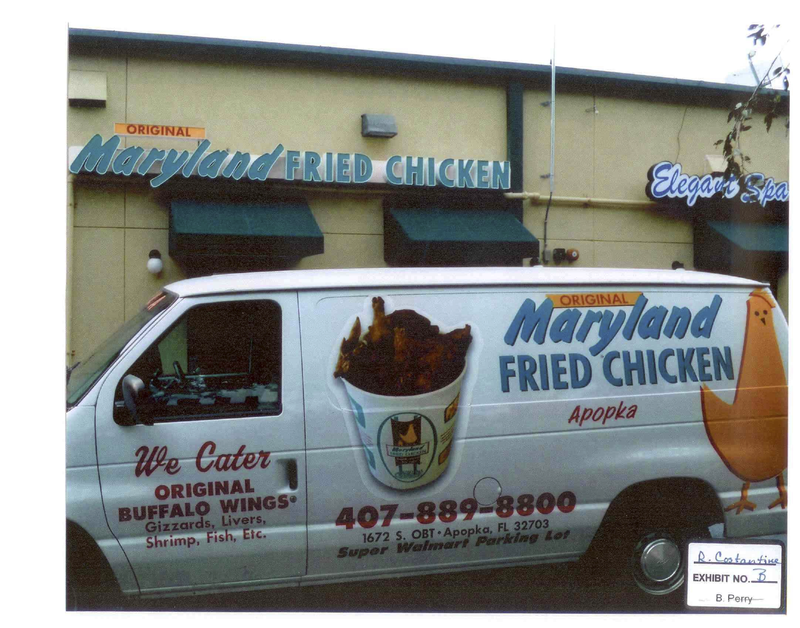 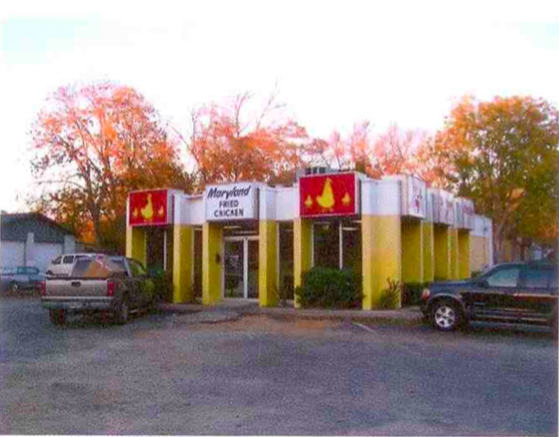 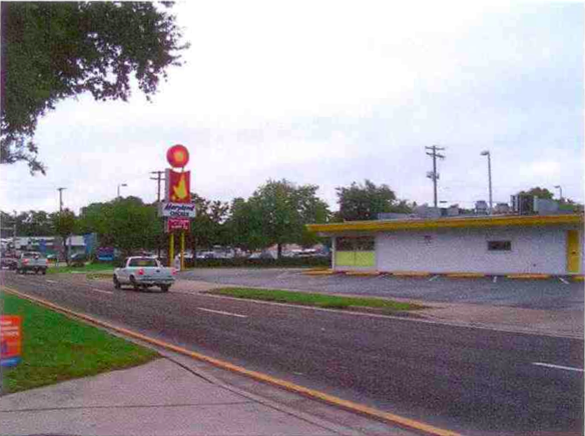 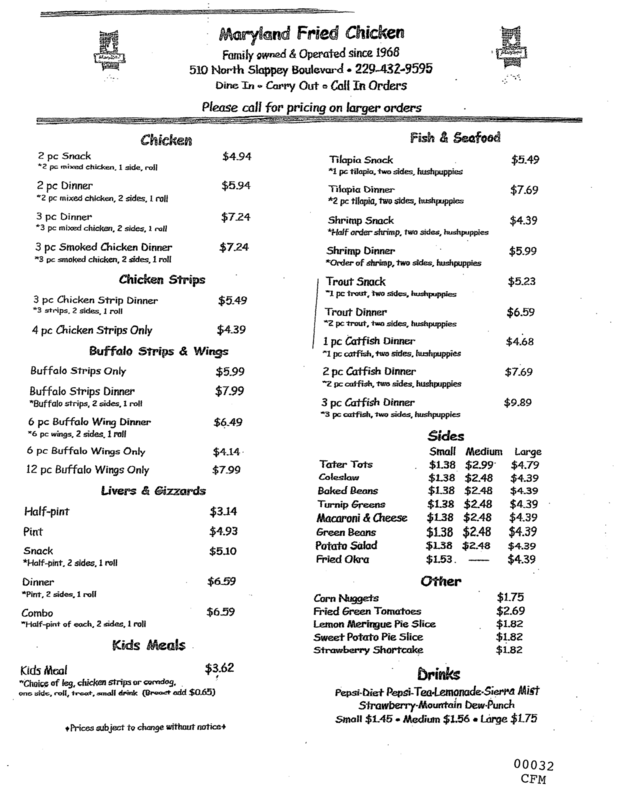 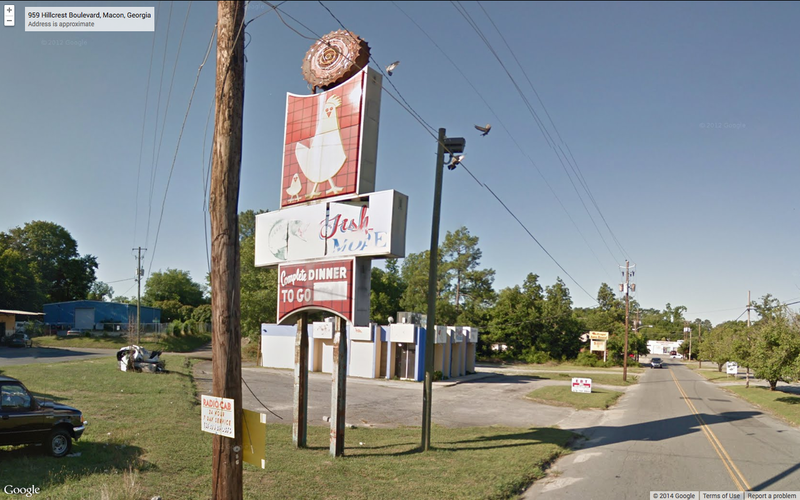 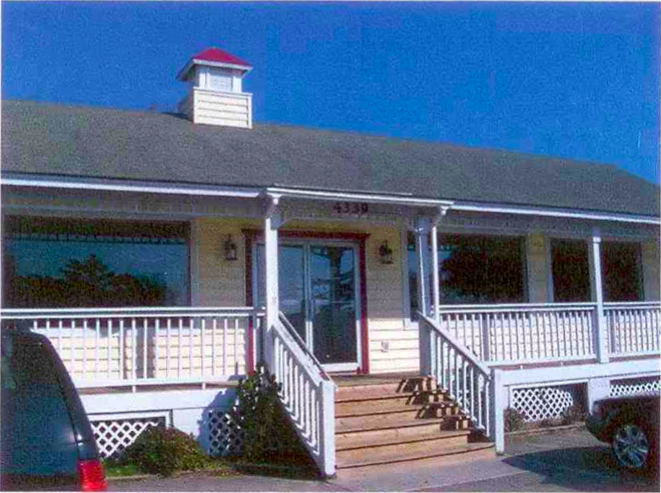 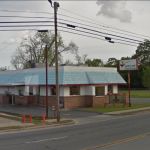 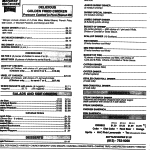 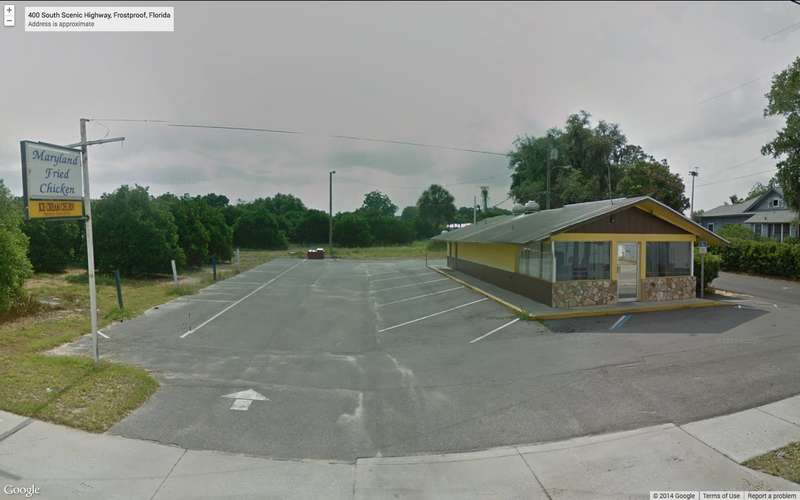 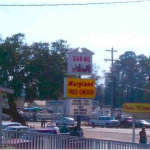 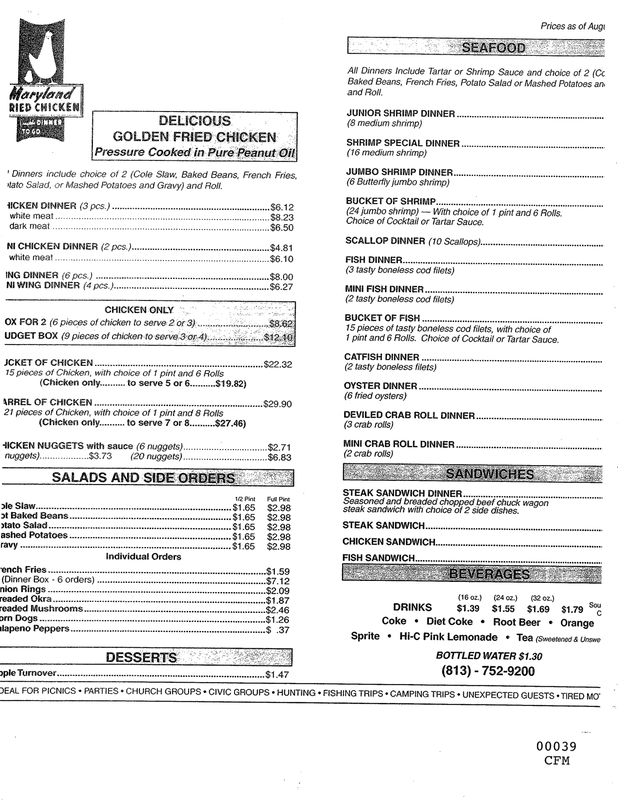 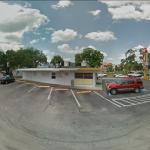 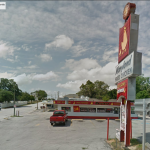 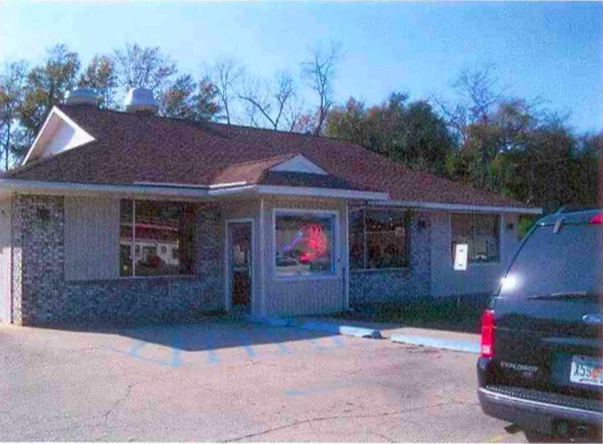 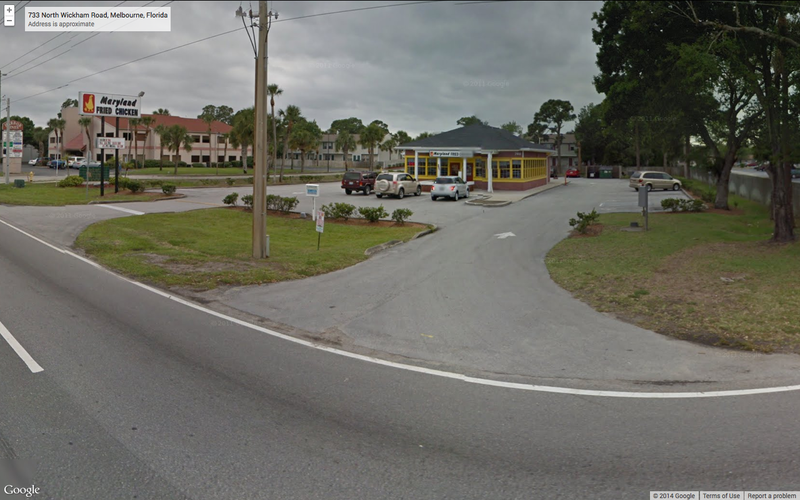 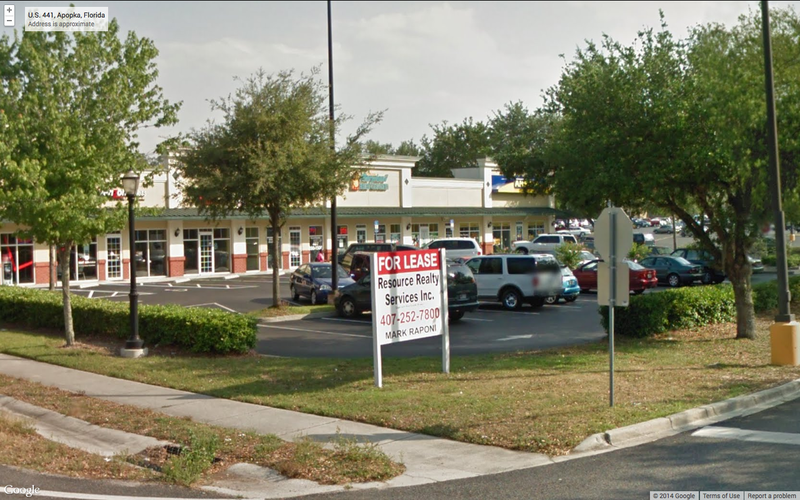 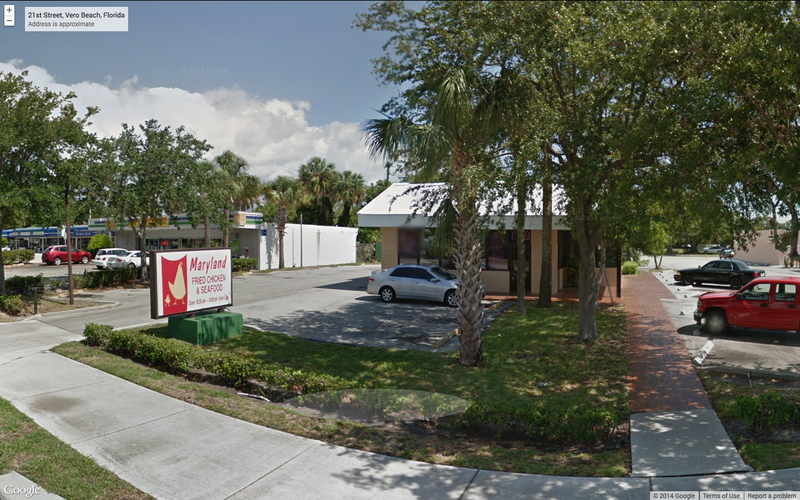 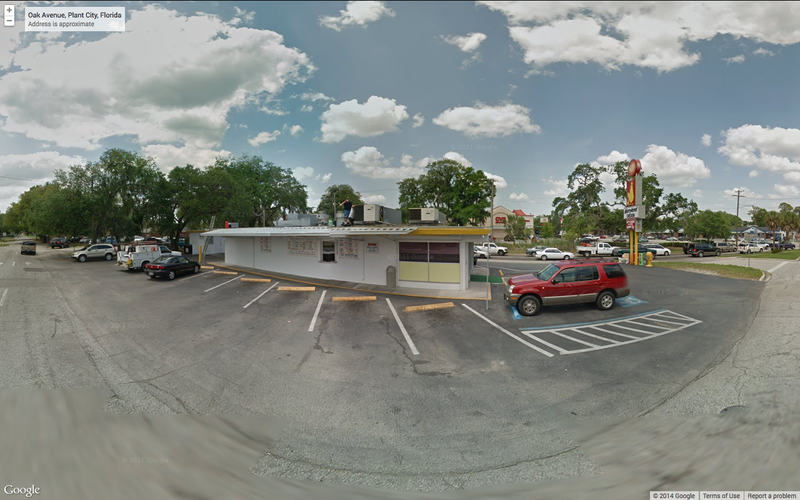 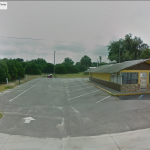 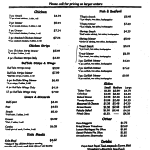 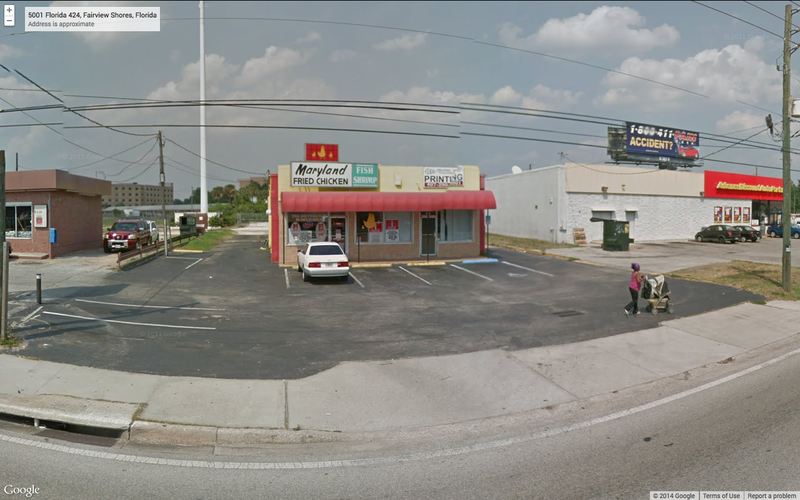 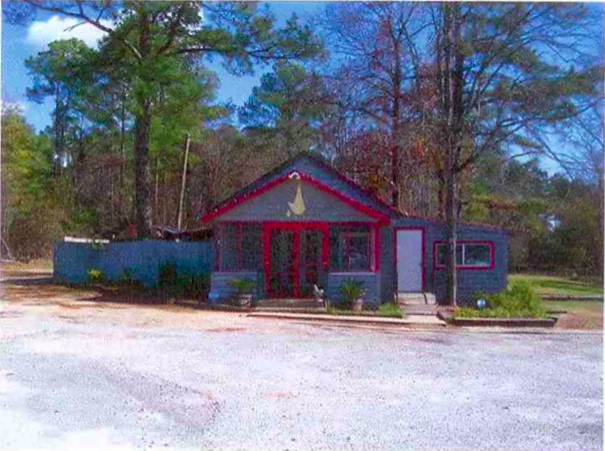 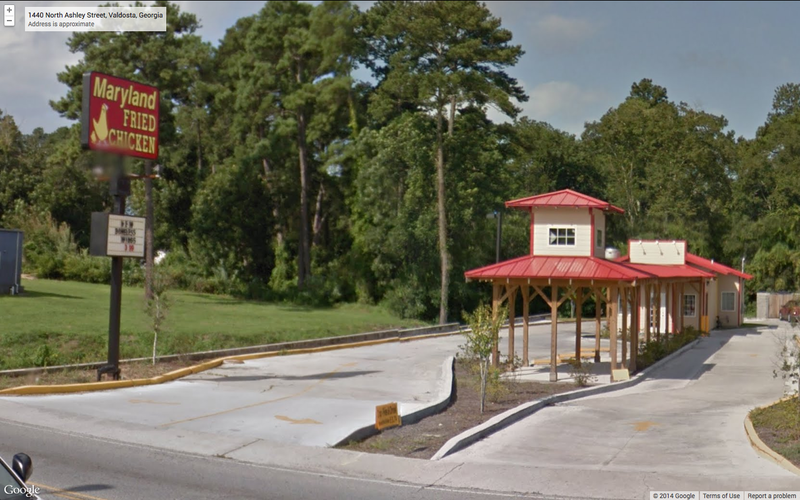 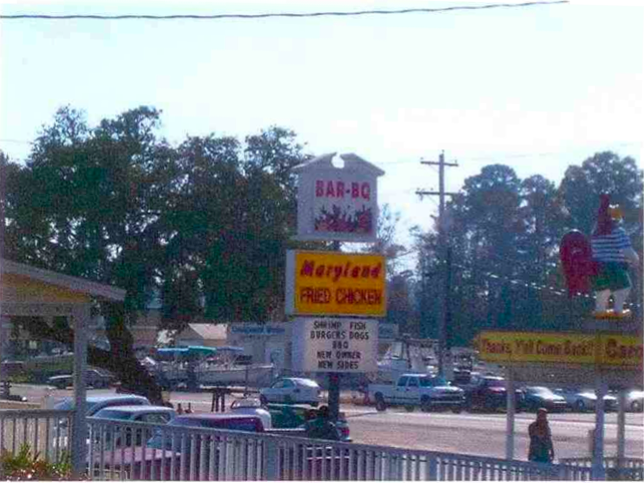 Little River, South Carolina and Winter Garden, Florida are barbecue restaurants that serves Maryland Fried Chicken. 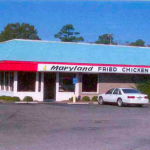 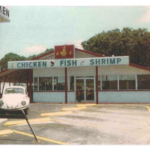 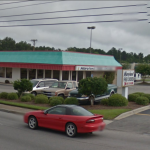 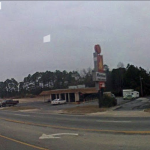 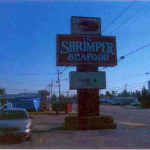 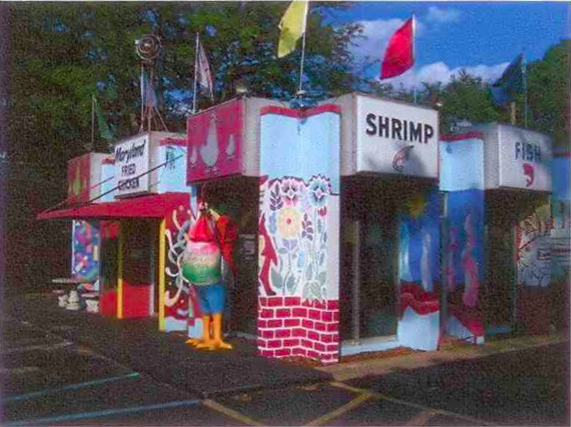 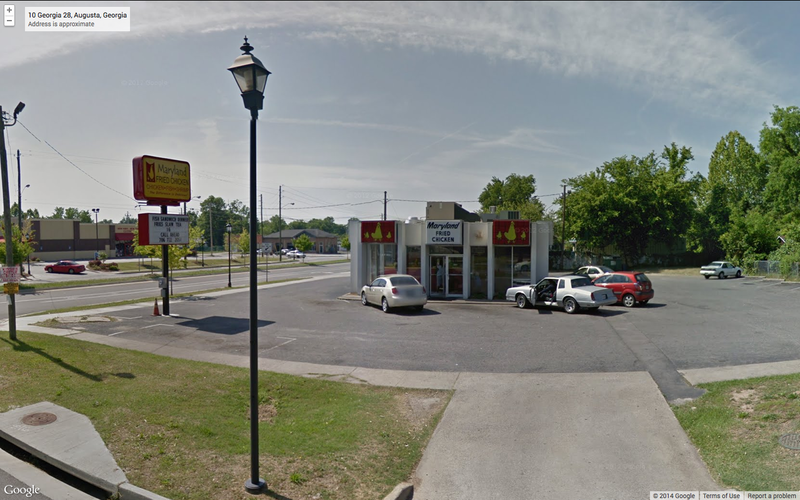 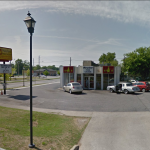 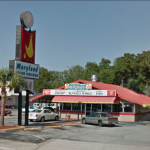 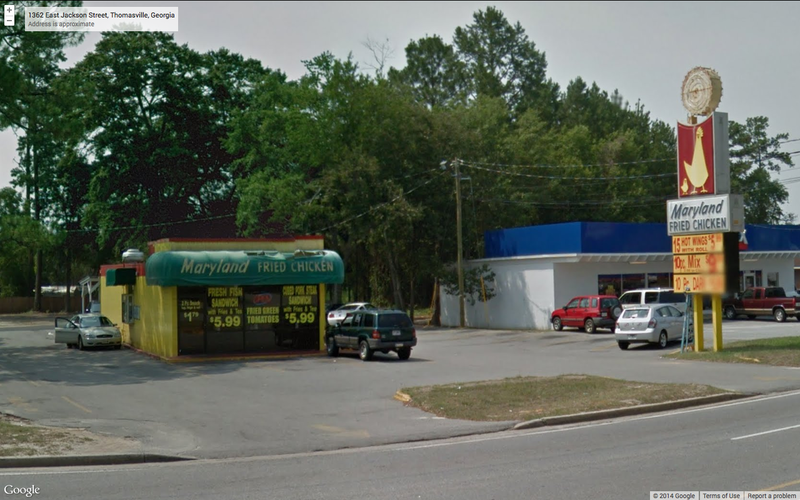 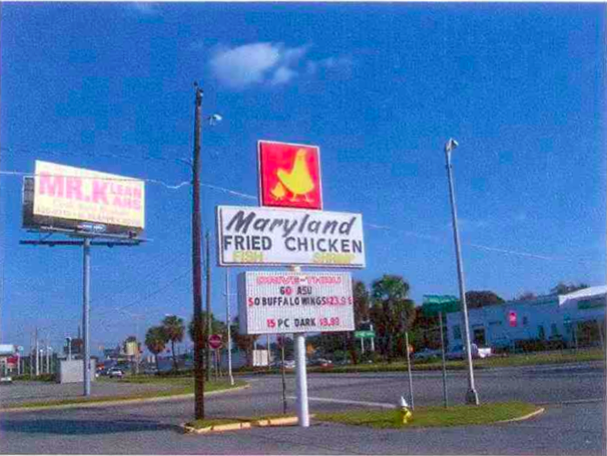 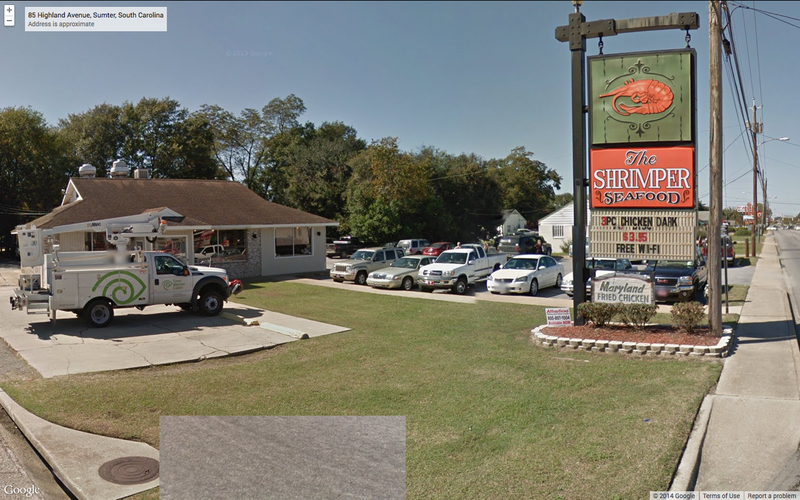 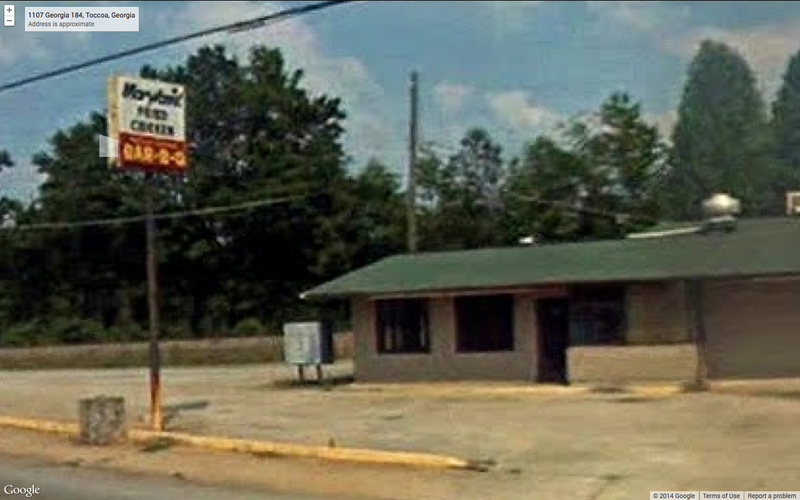 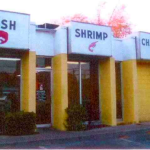 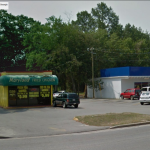 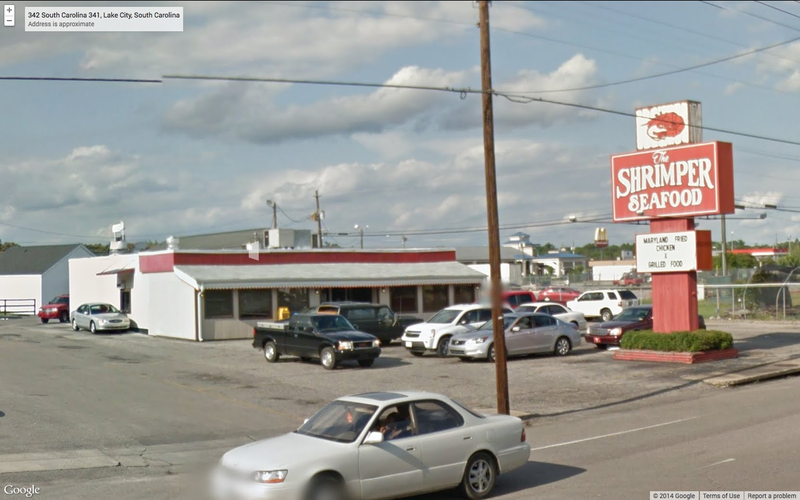 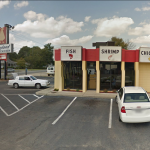 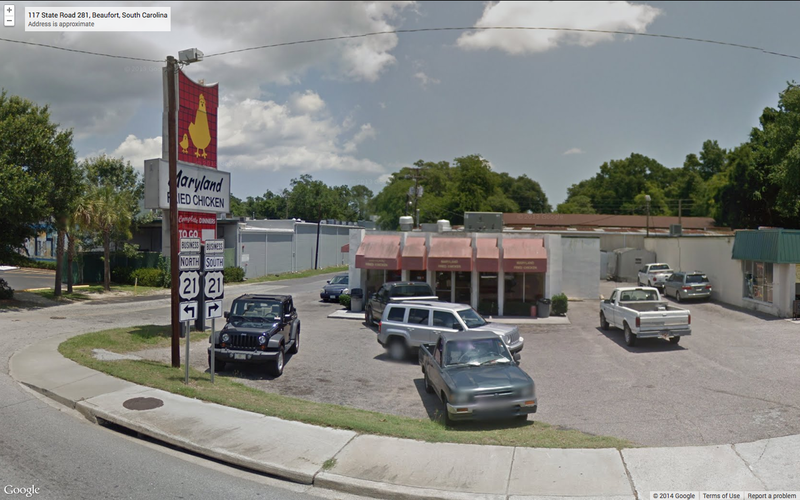 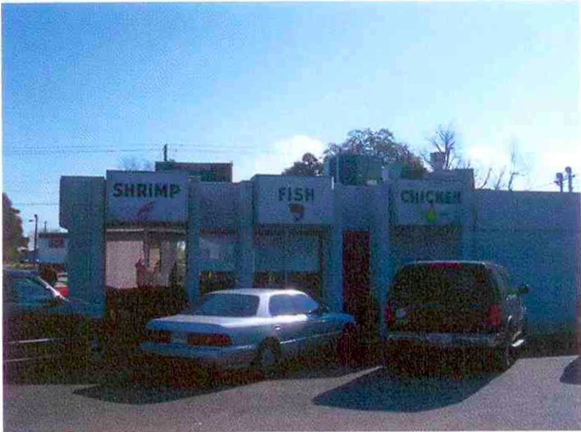 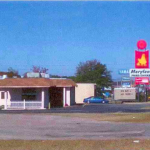 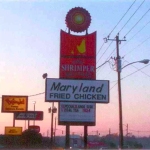 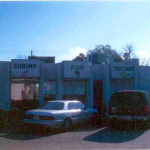 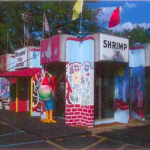 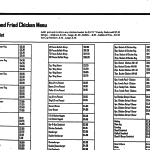 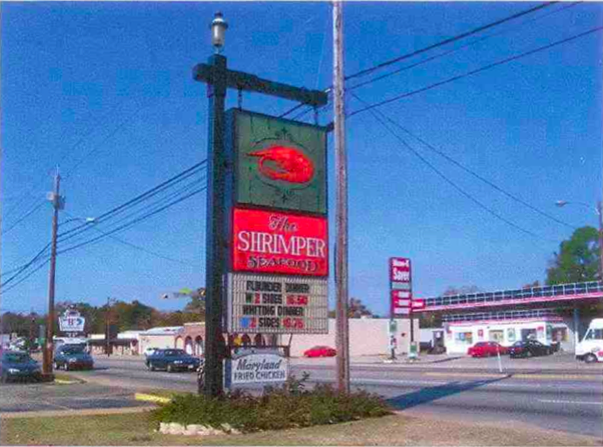 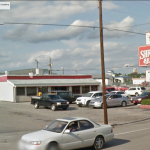 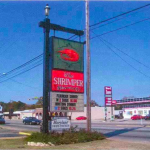 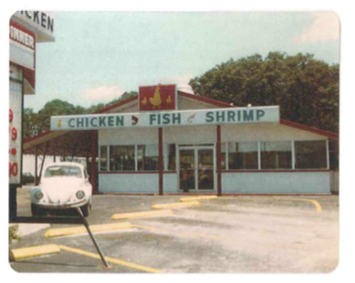 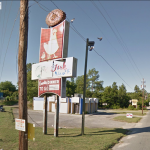 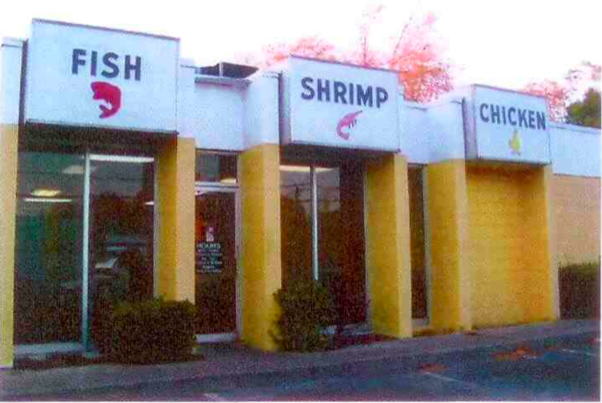 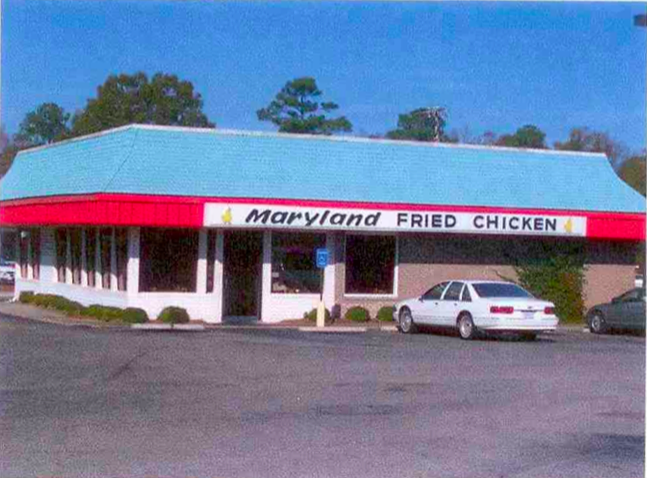 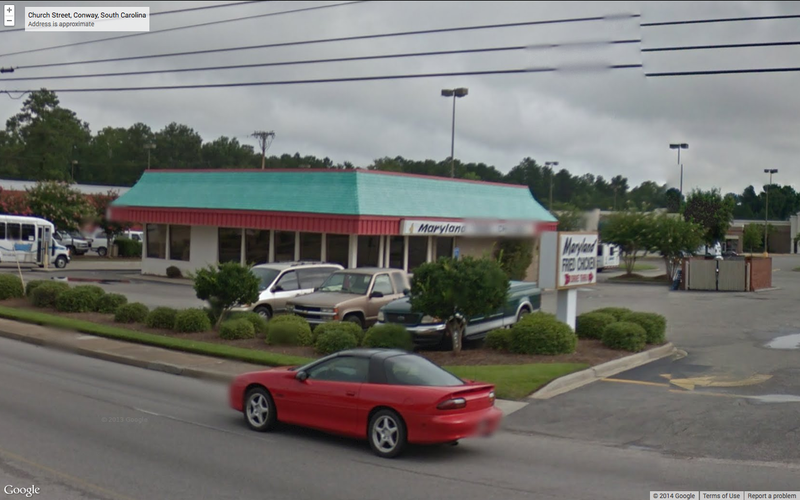 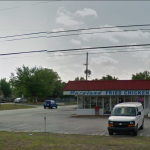 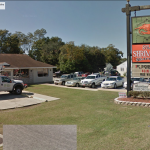 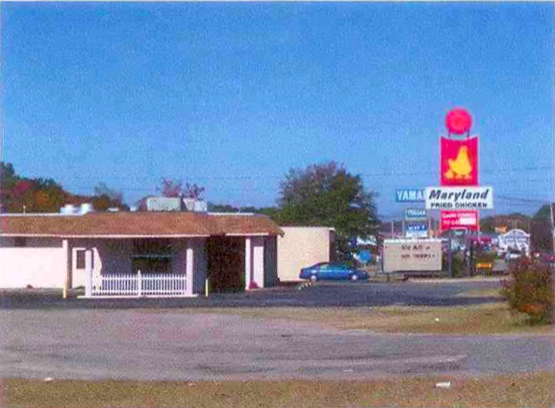 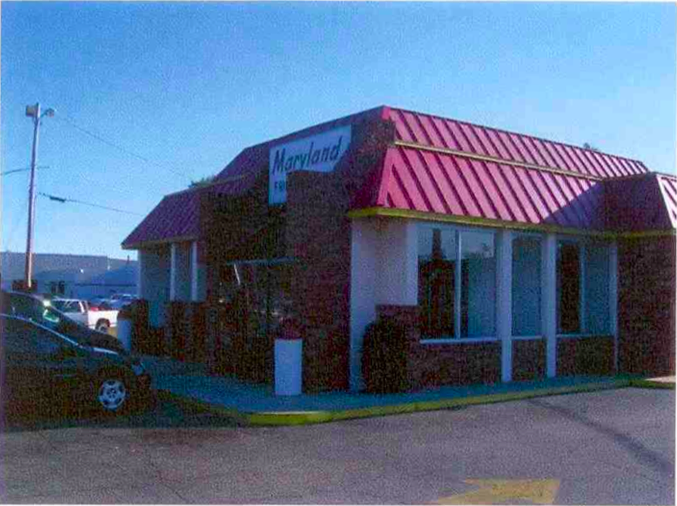 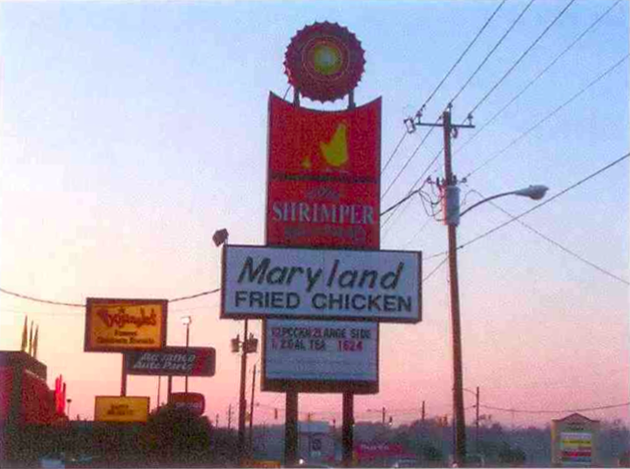 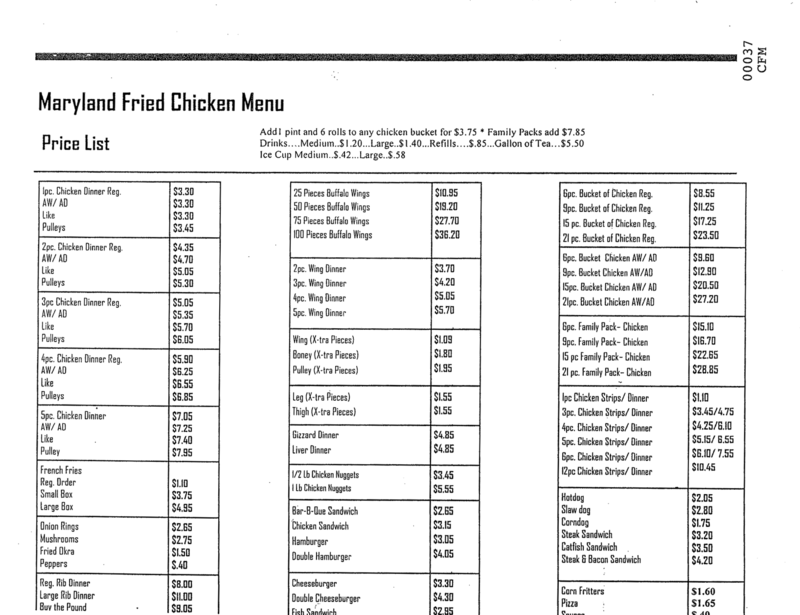 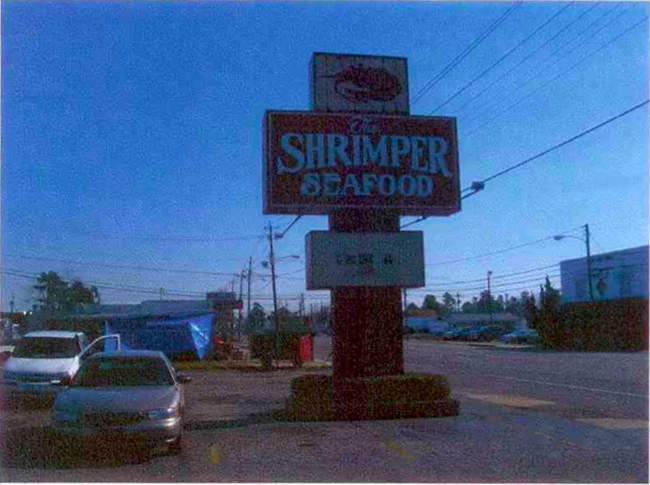 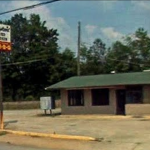 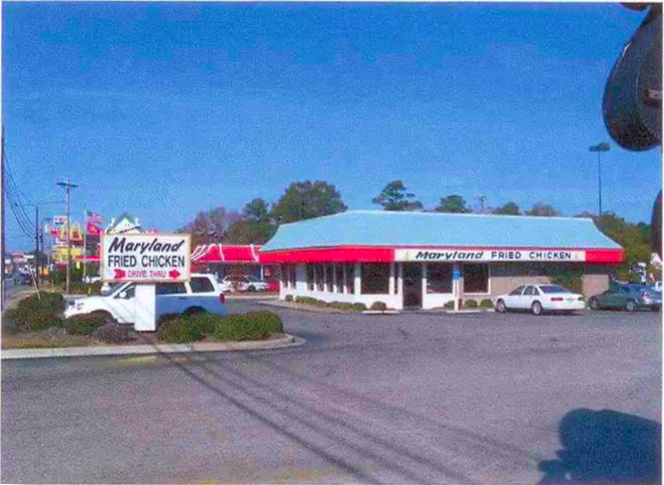 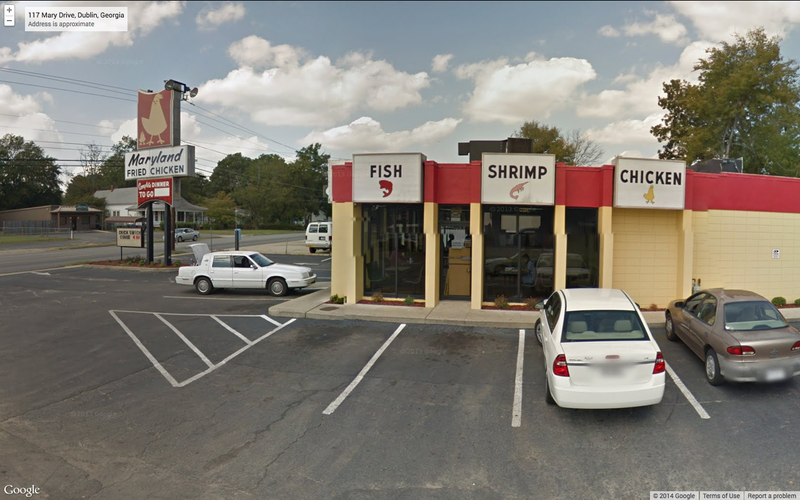 Florence, Lake City and Sumpter, South Carolina are “Shrimper” restaurants that sell Maryland Fried Chicken. 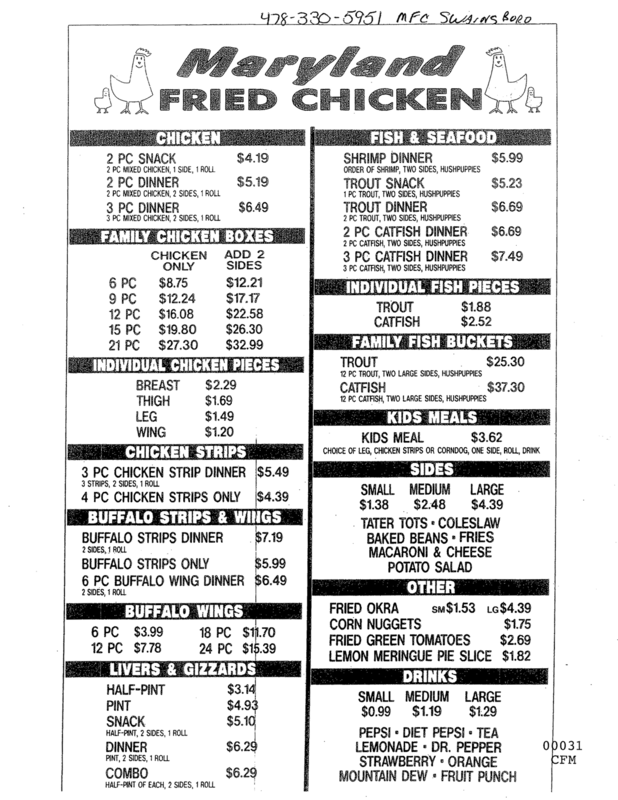 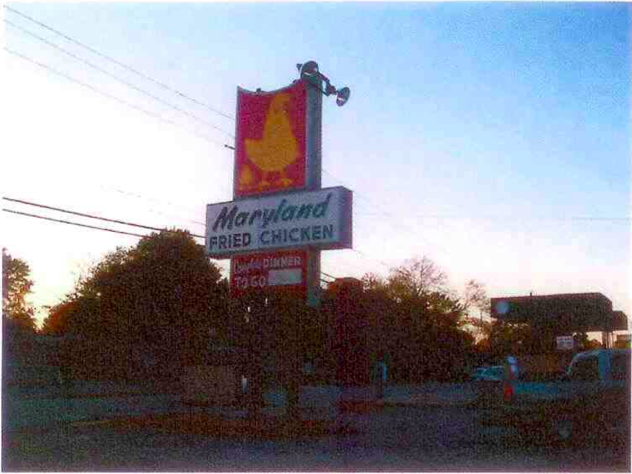 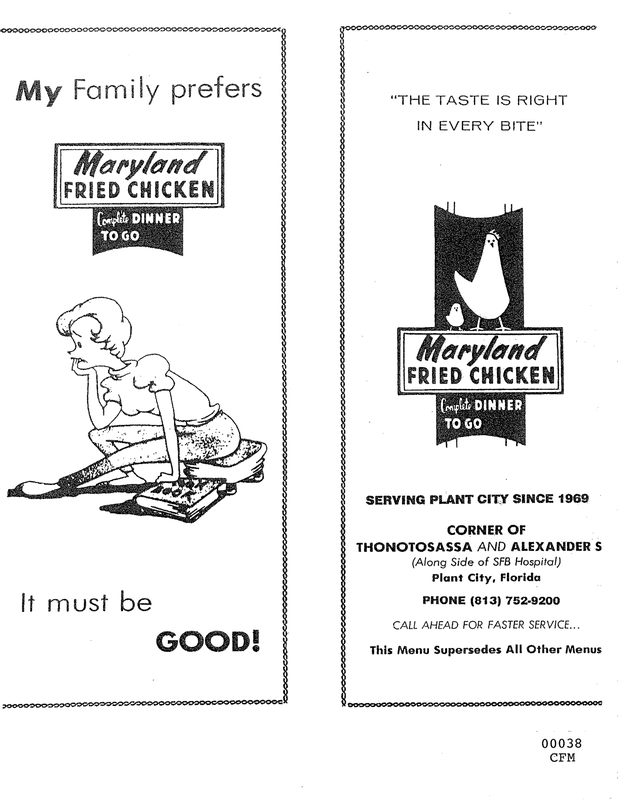 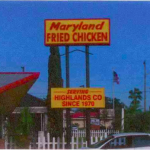 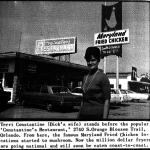 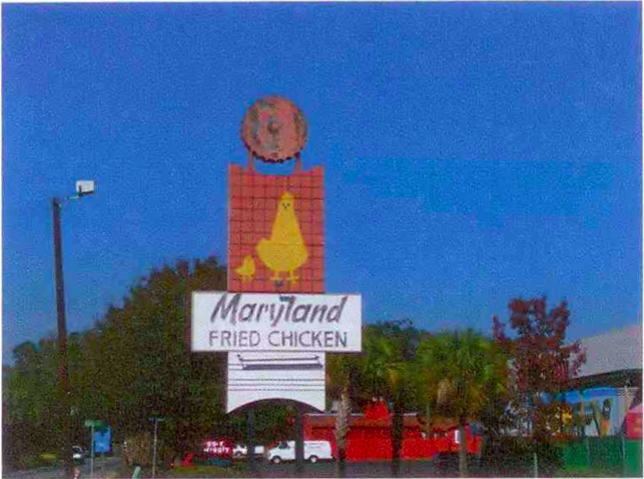 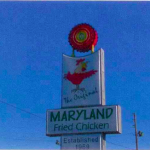 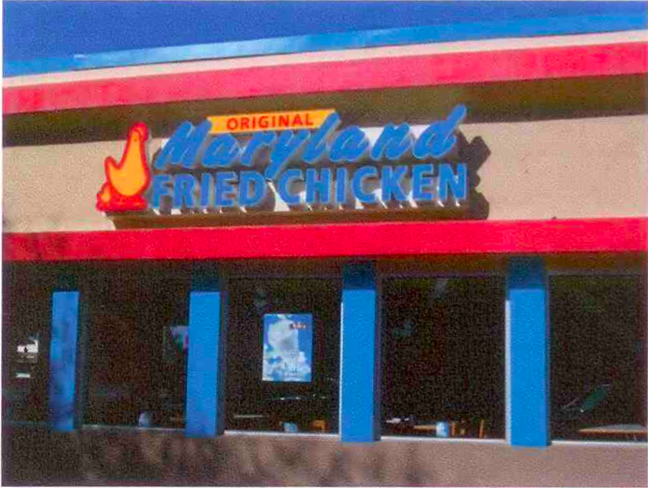 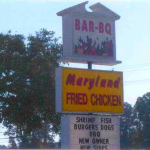 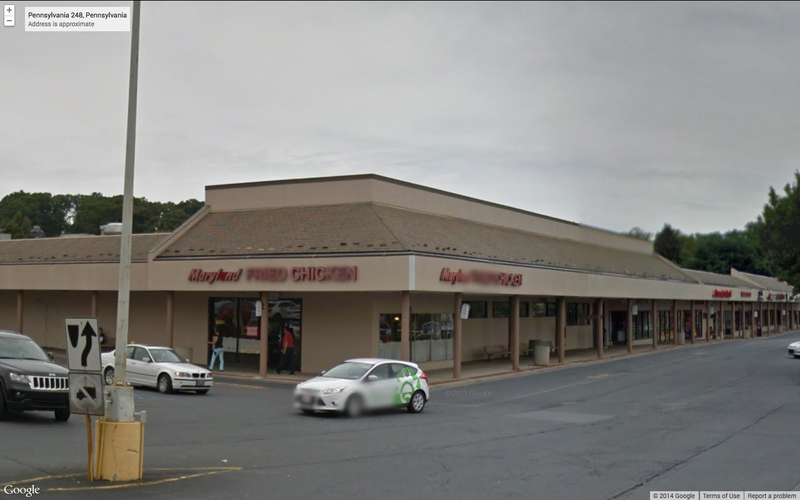 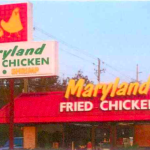 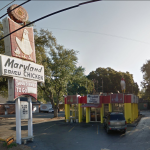 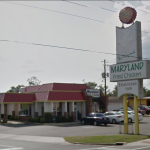 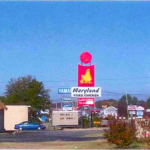 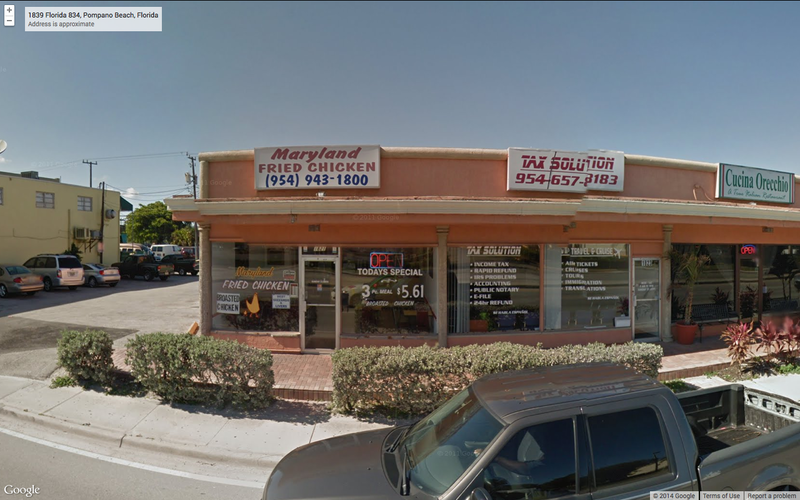 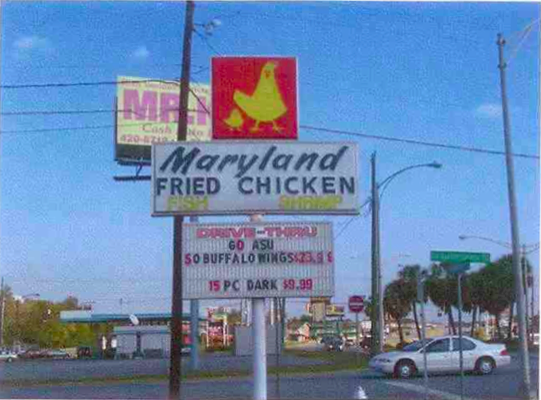 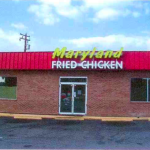 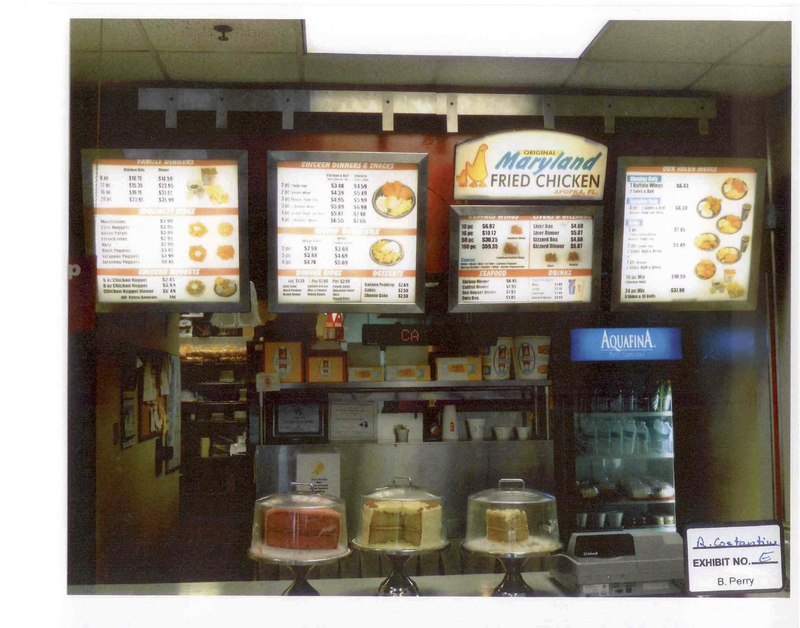 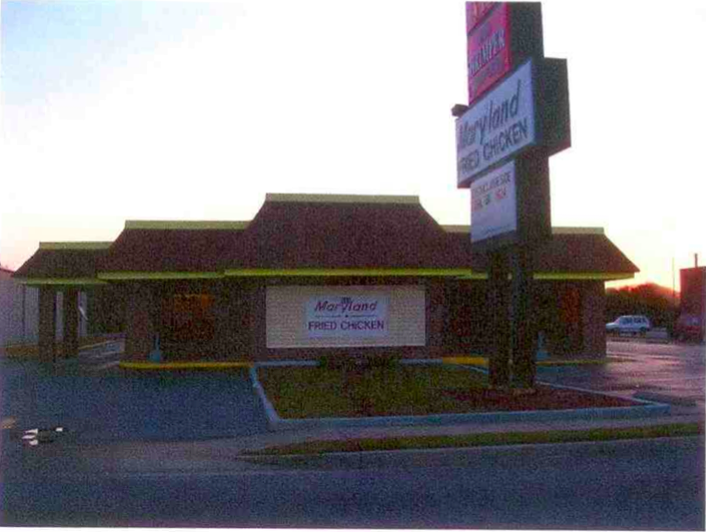 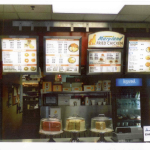 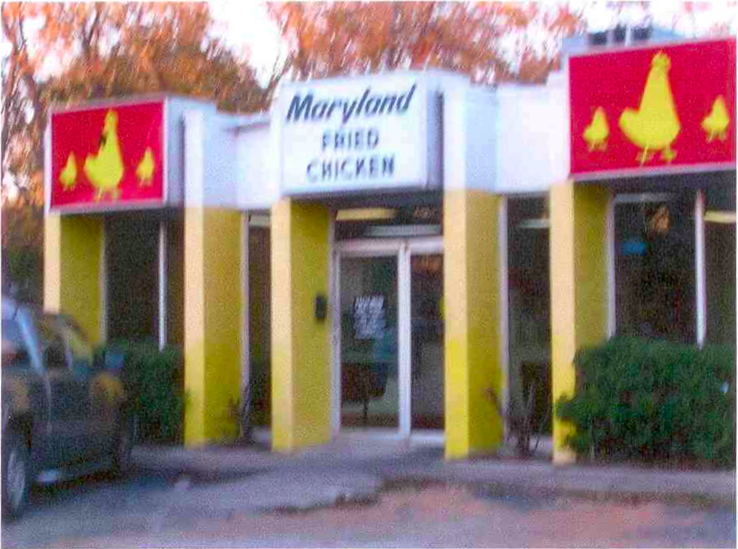 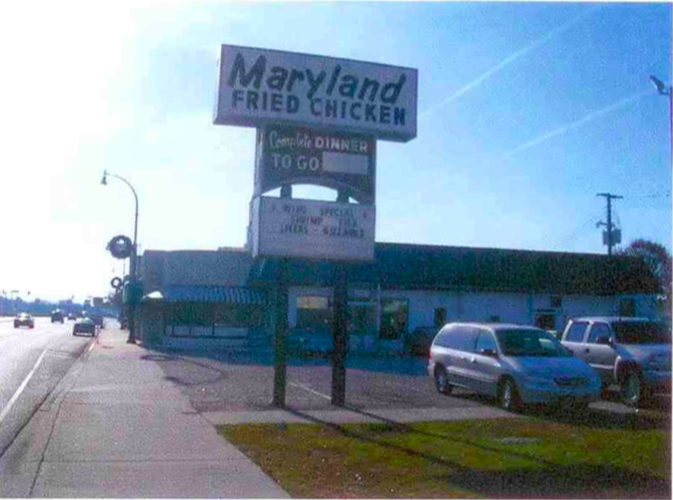 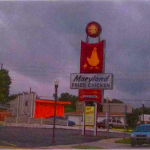 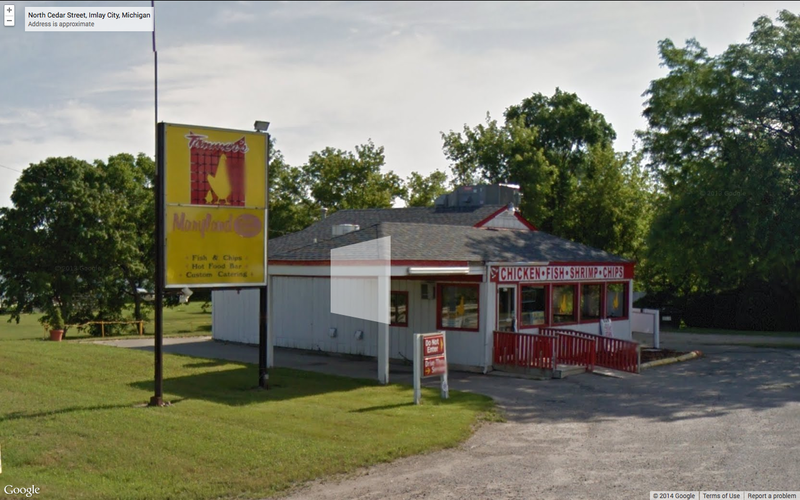 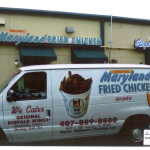 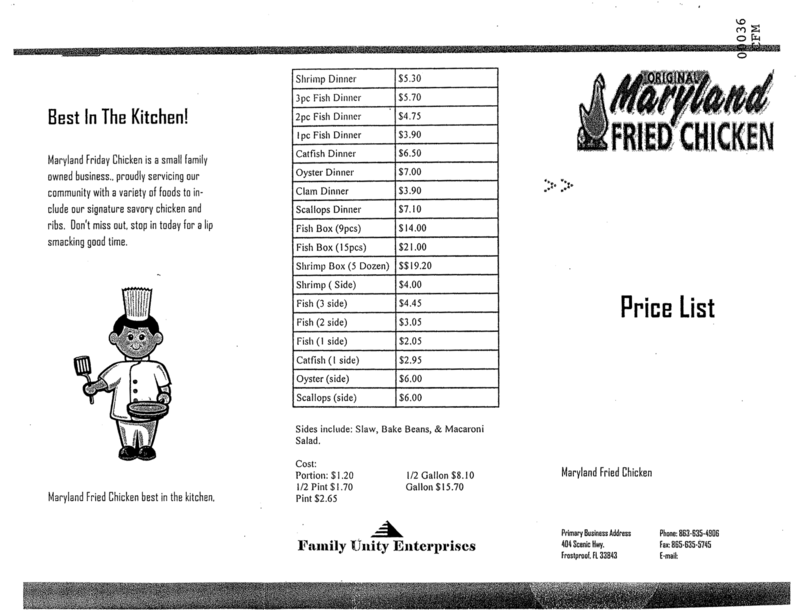 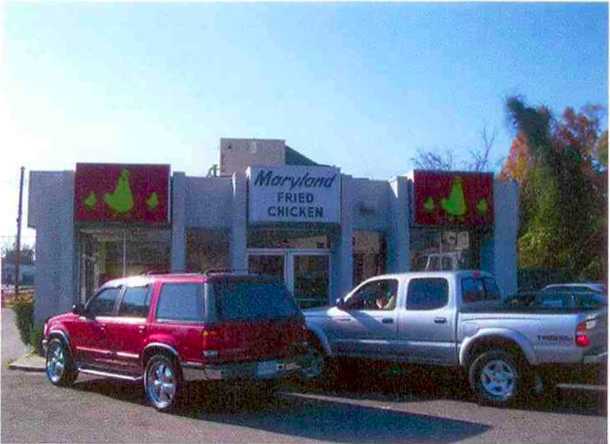 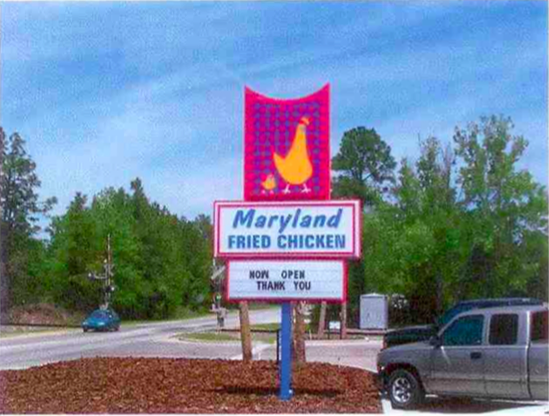 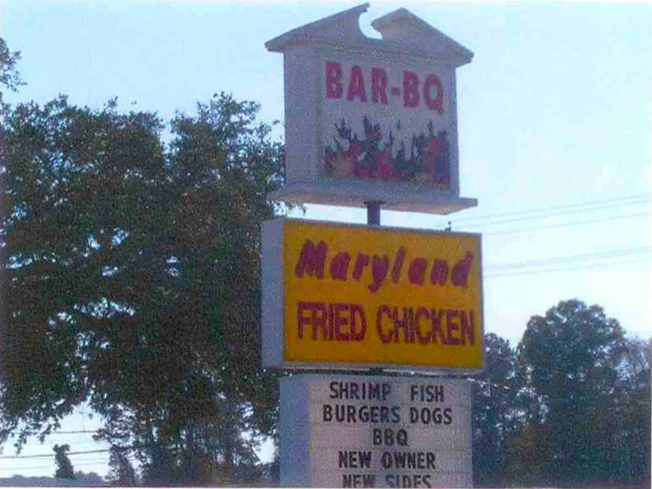 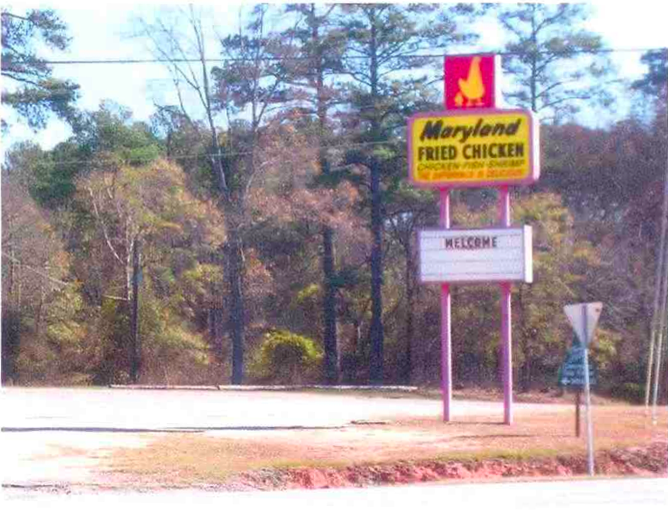 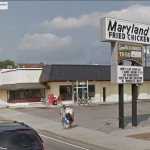 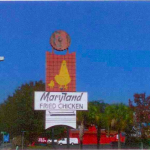 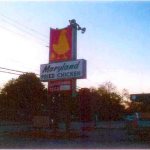 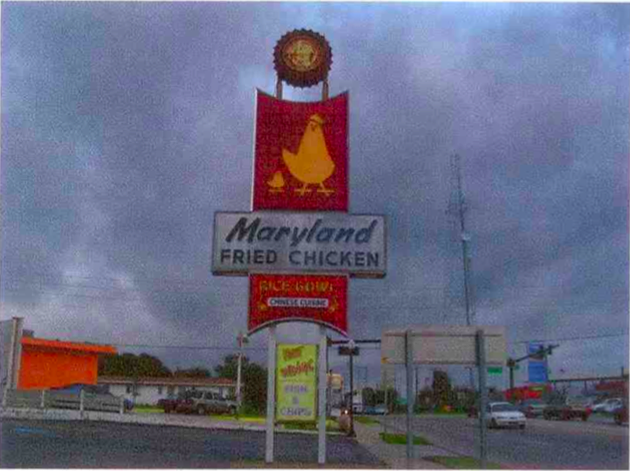 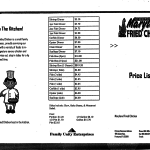 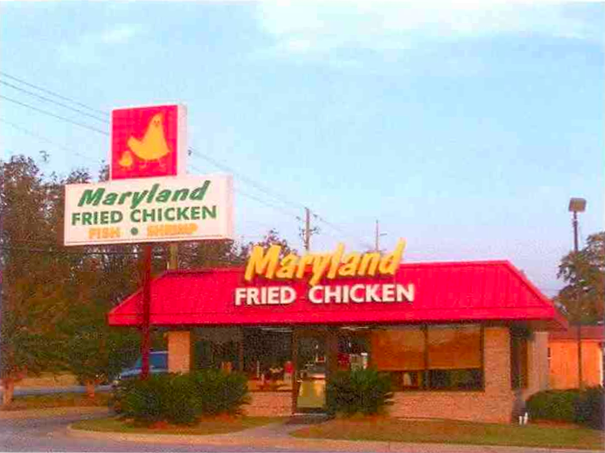 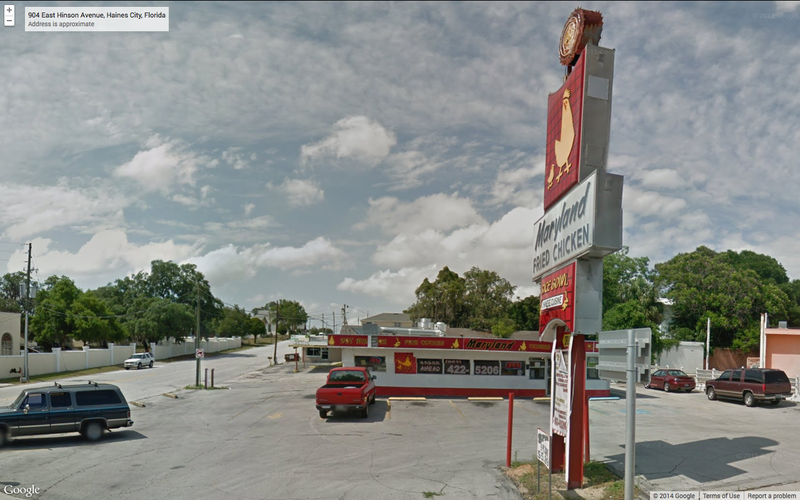 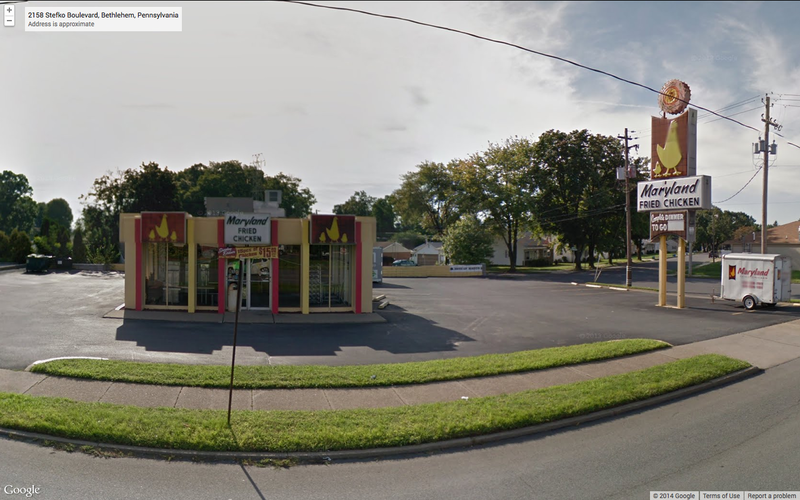 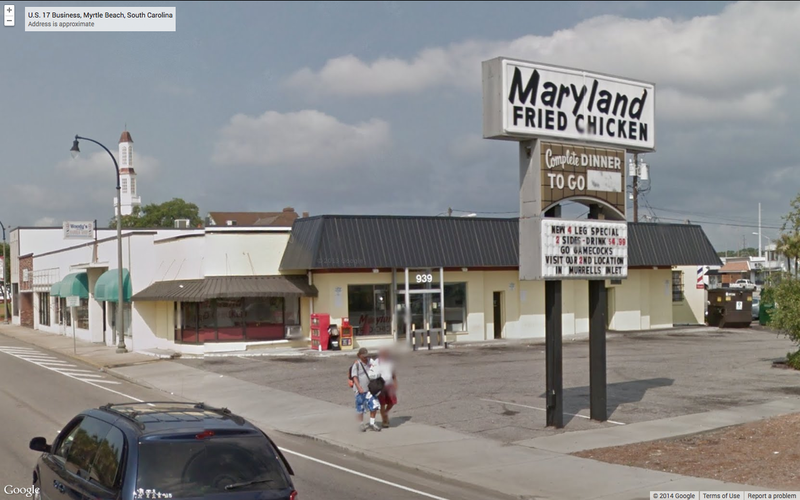 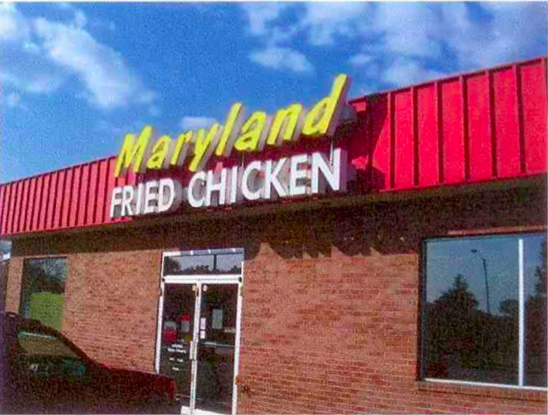 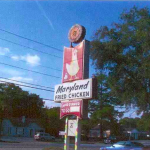 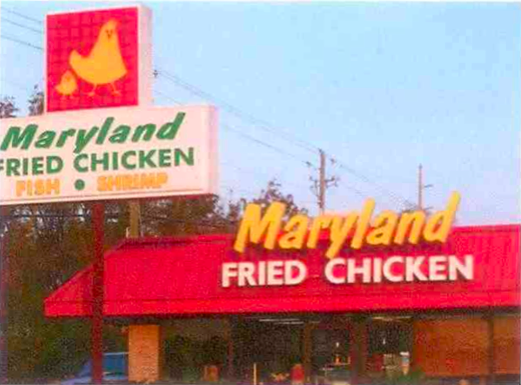 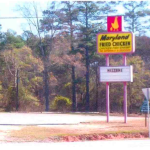 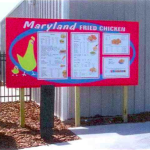 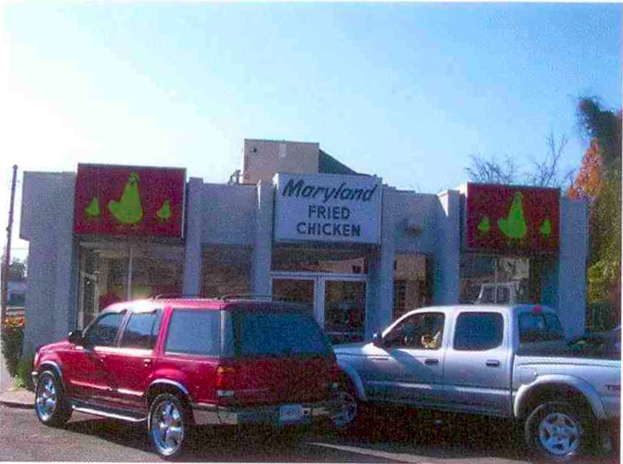 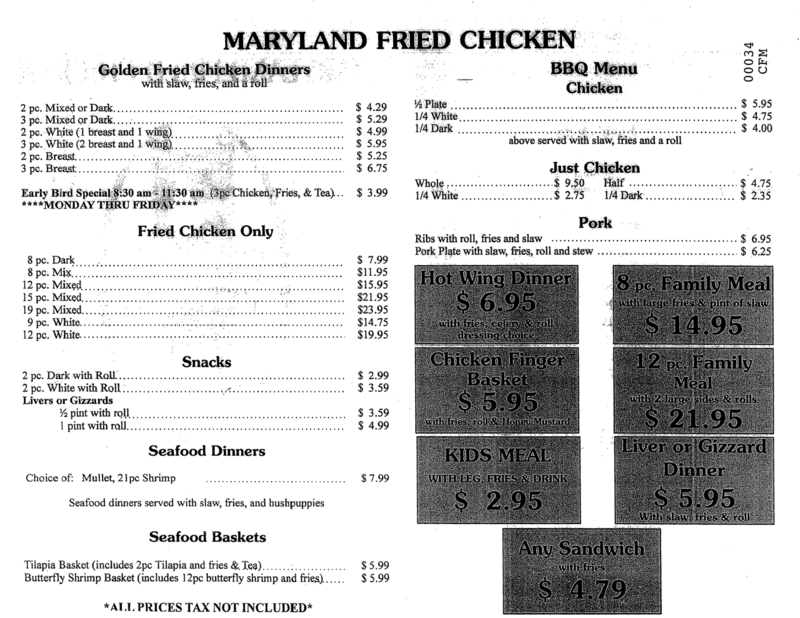 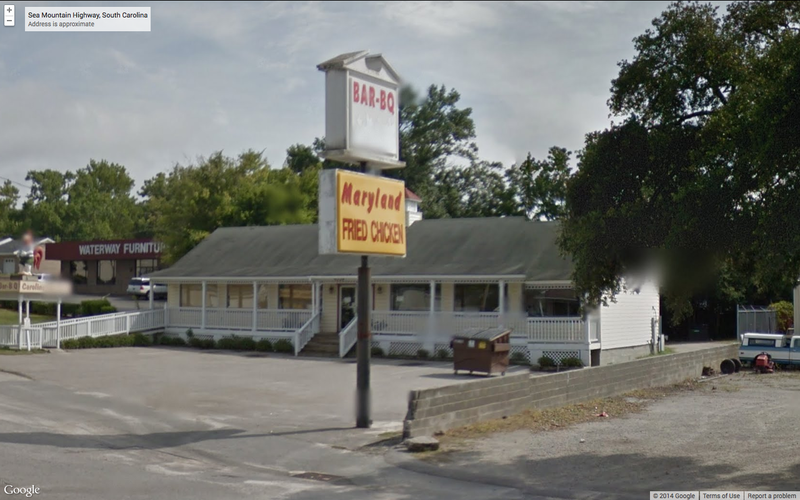 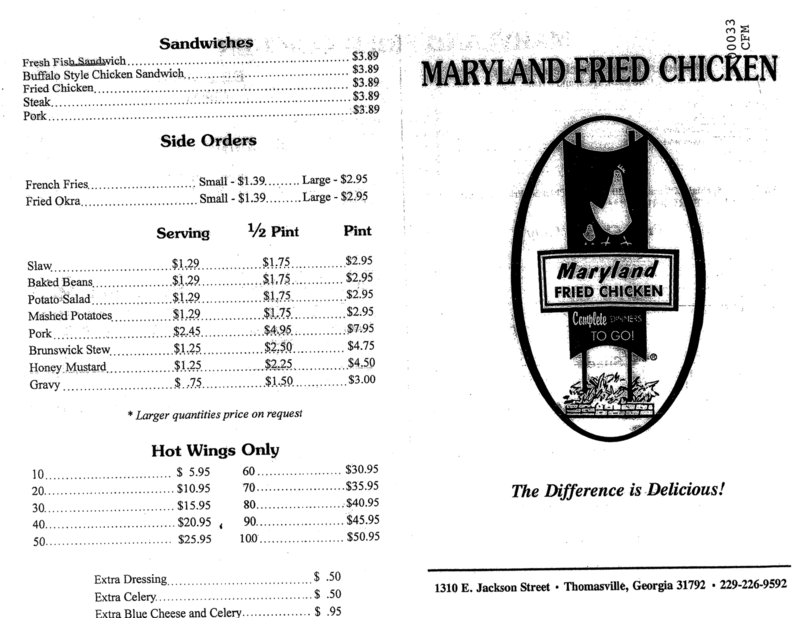 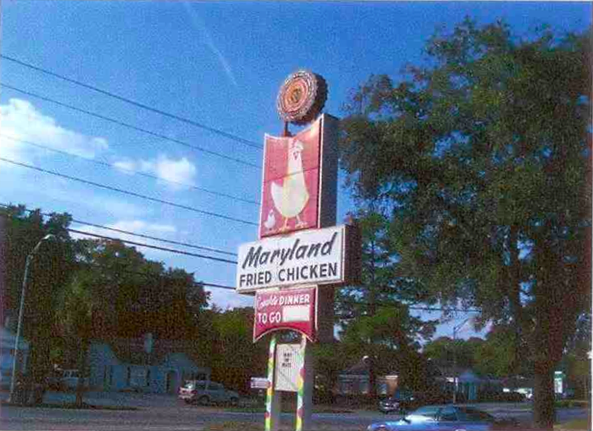 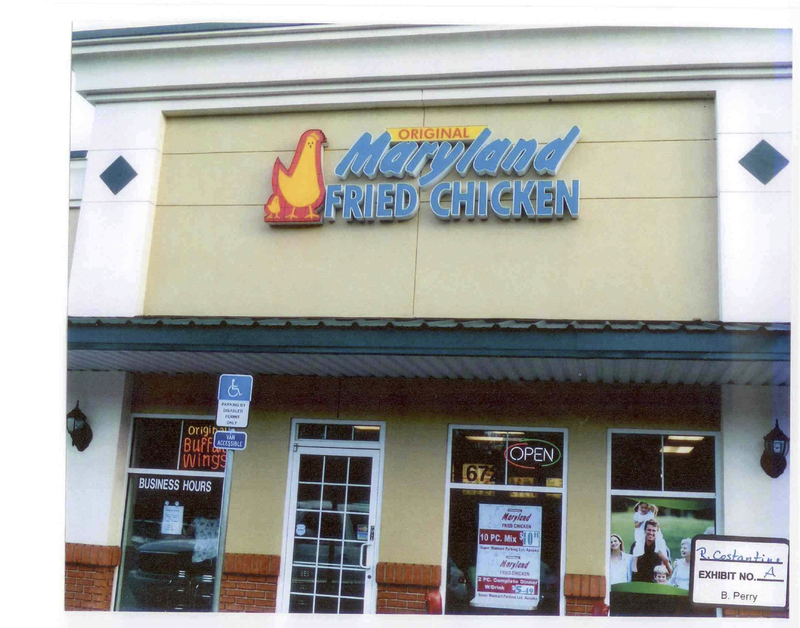 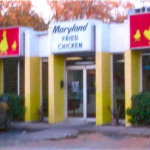 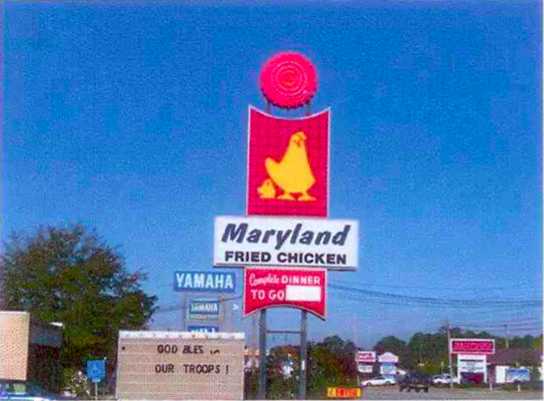 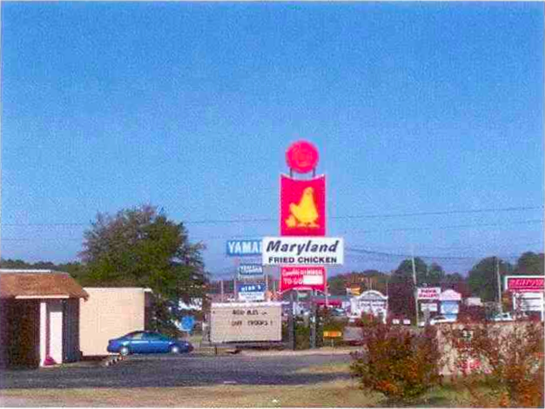 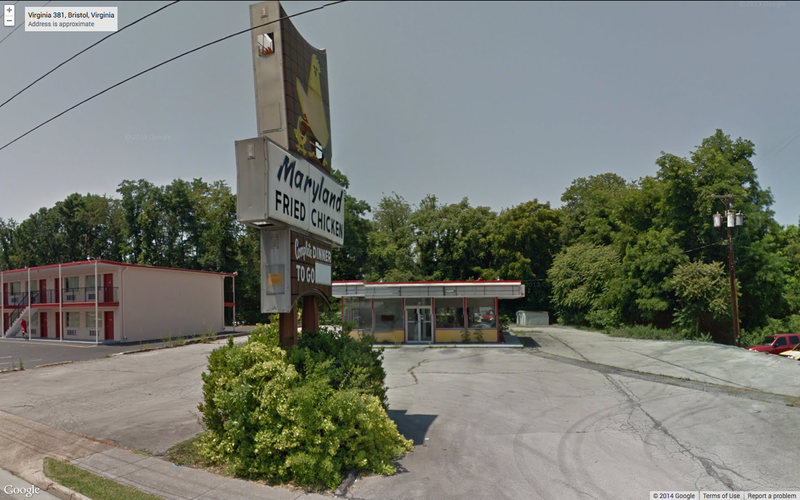 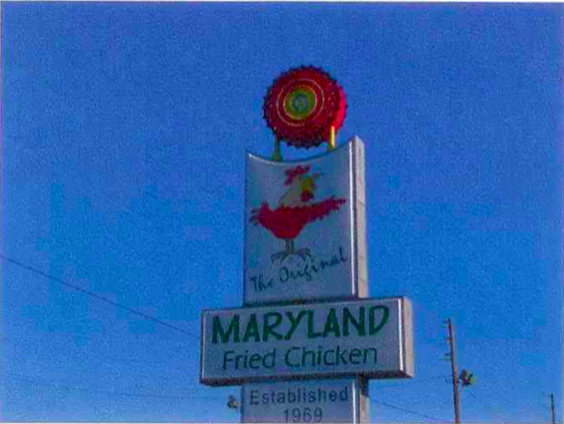 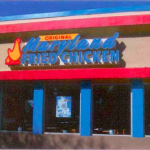 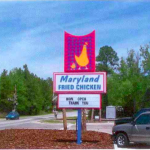 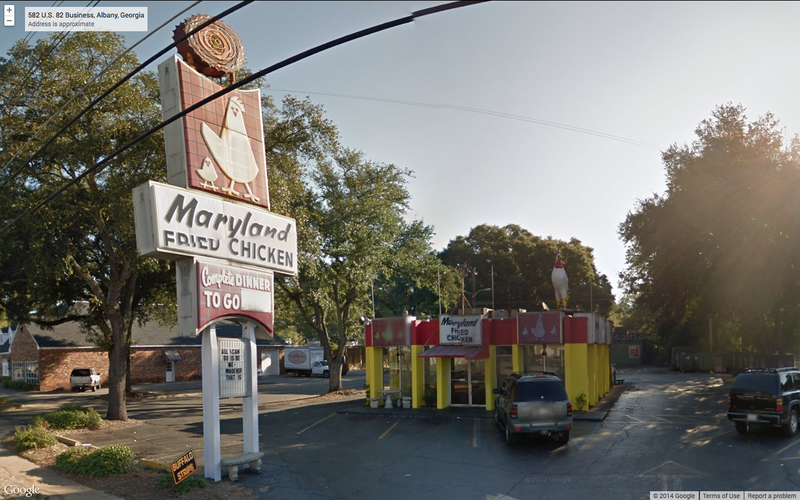 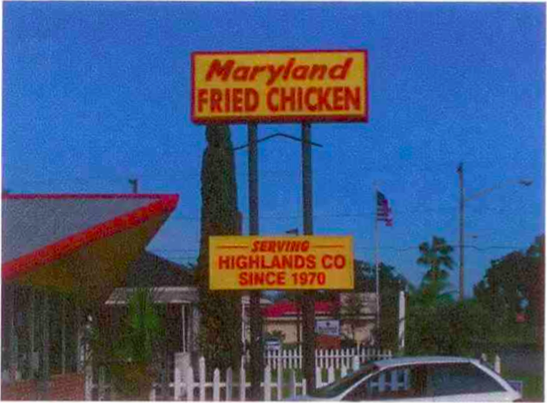 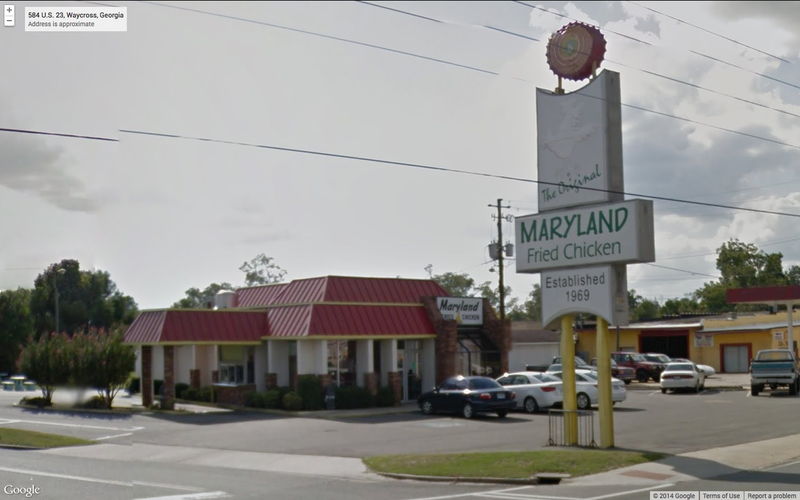 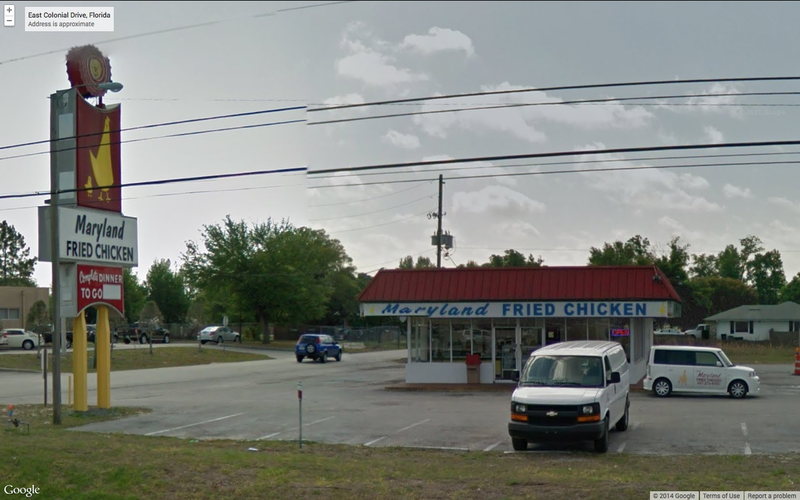 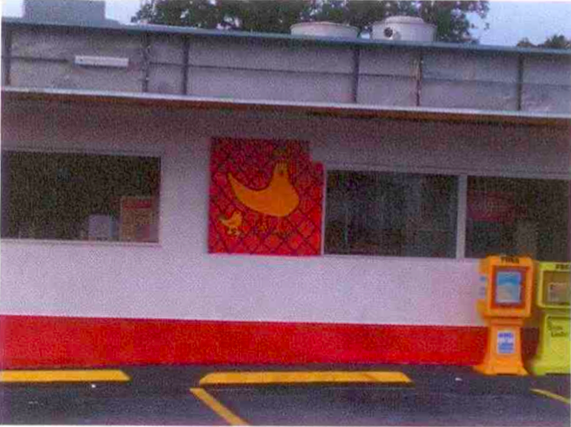 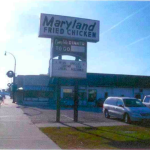 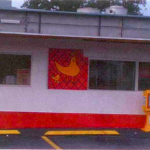 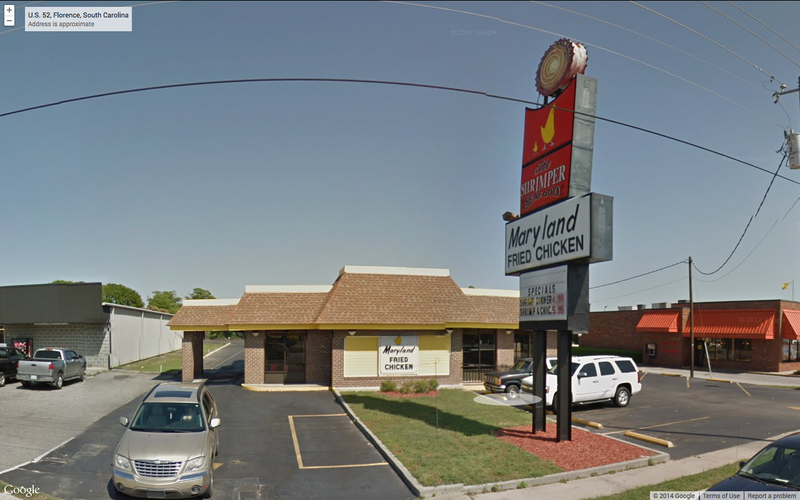 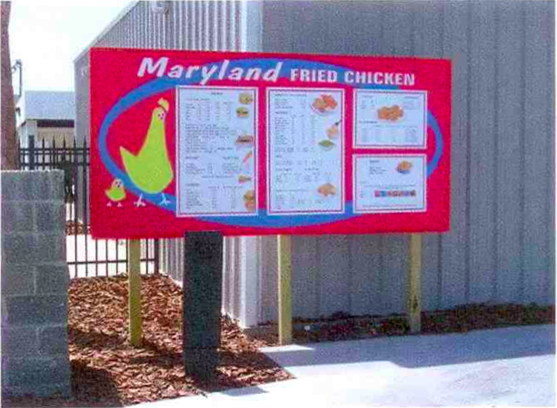 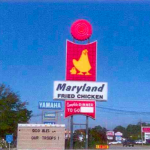 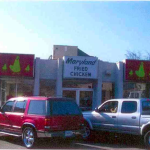 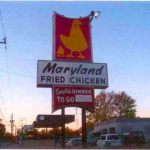 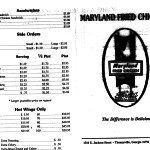 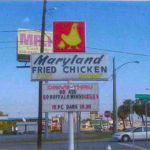 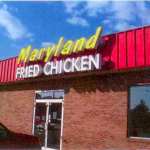 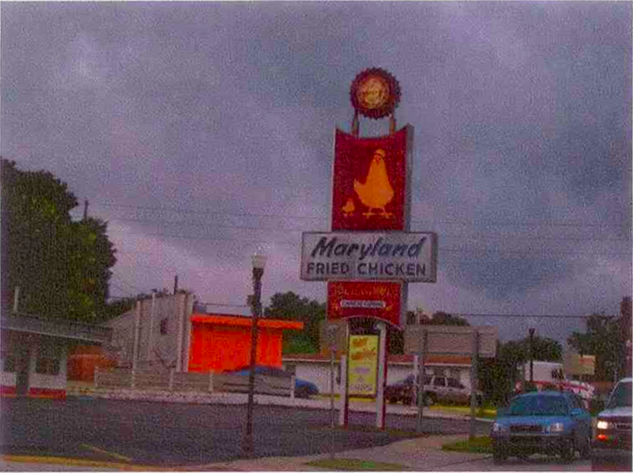 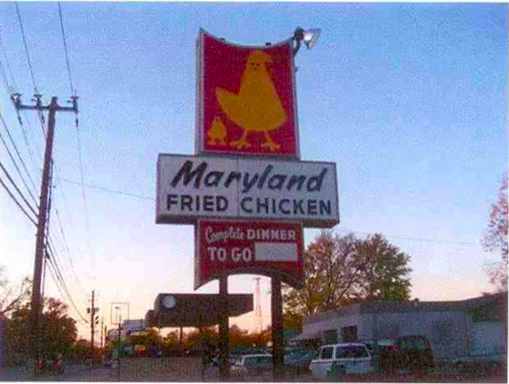 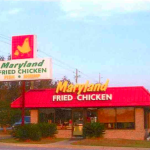 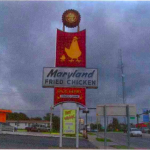 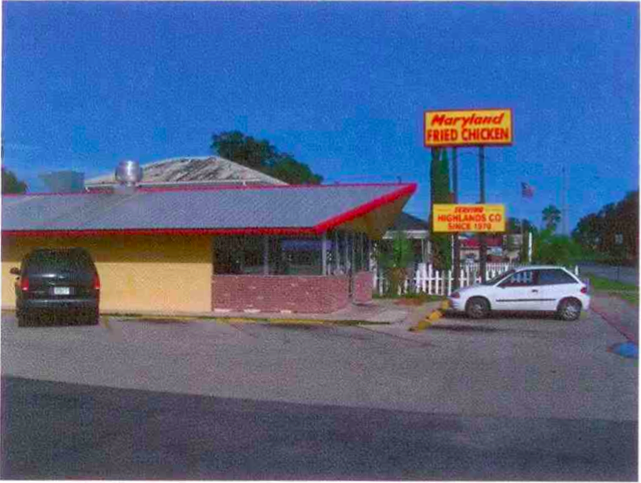 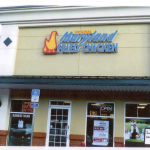 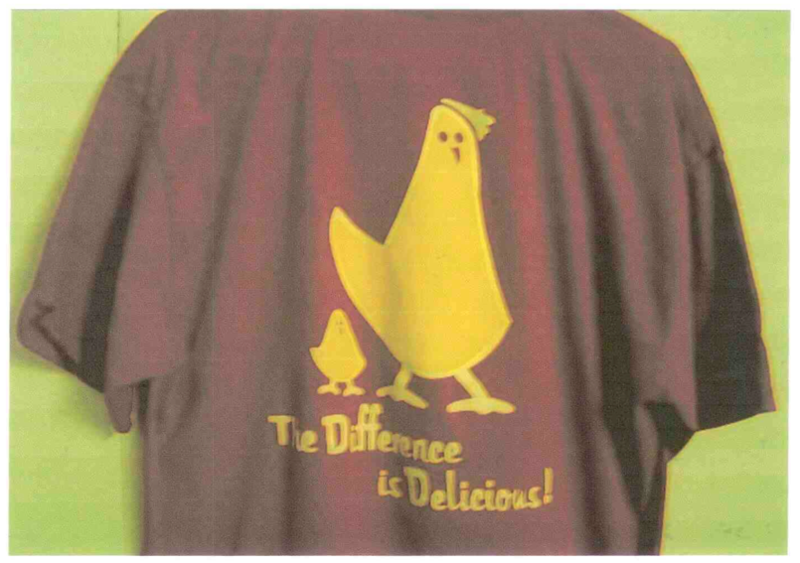 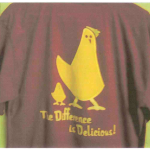 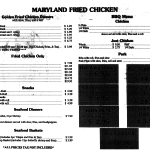 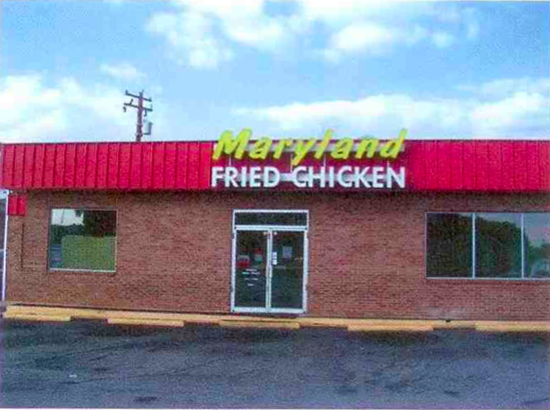 Some signs are for the “Original” Maryland Fried Chicken and have a different chicken. 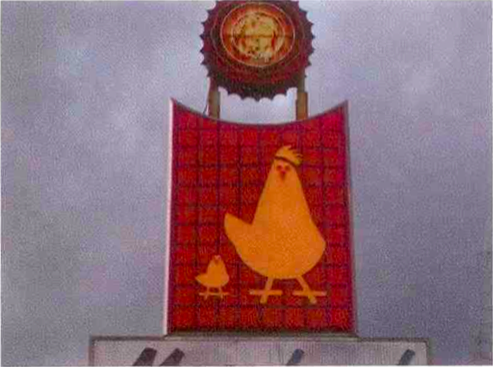 Some signs use two chicks instead of one. 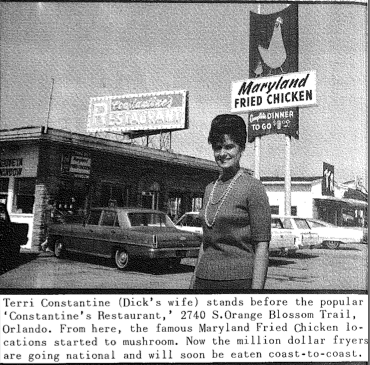 Click on any photo for a slideshow view. 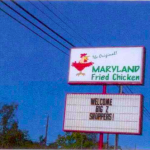 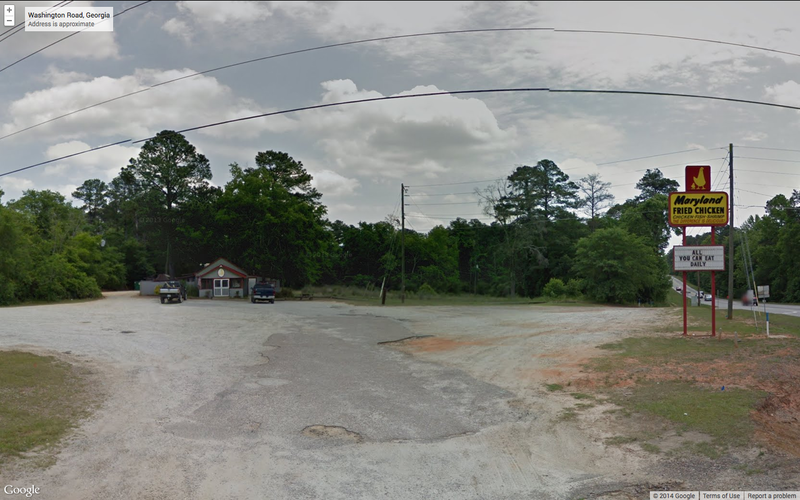 Slappey Dr., Albany, Georgia. 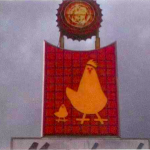 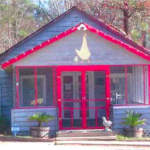 Note standing rooster. 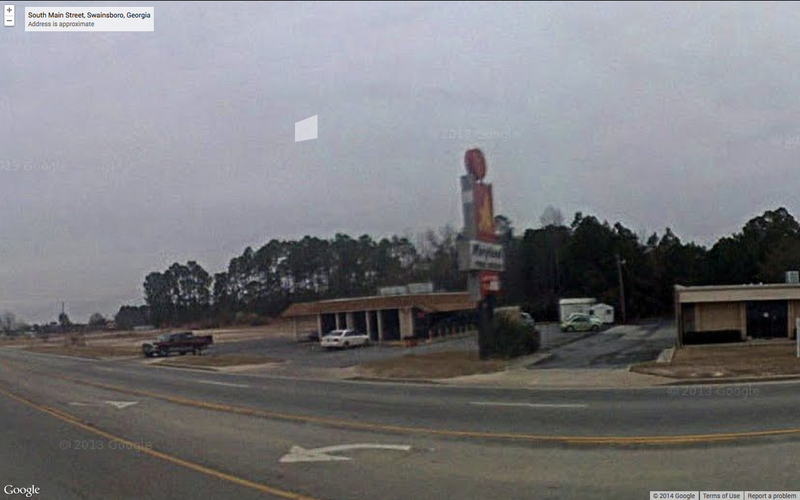 Augusta, Georgia. 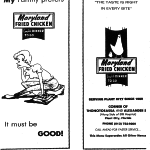 Note two chicks.